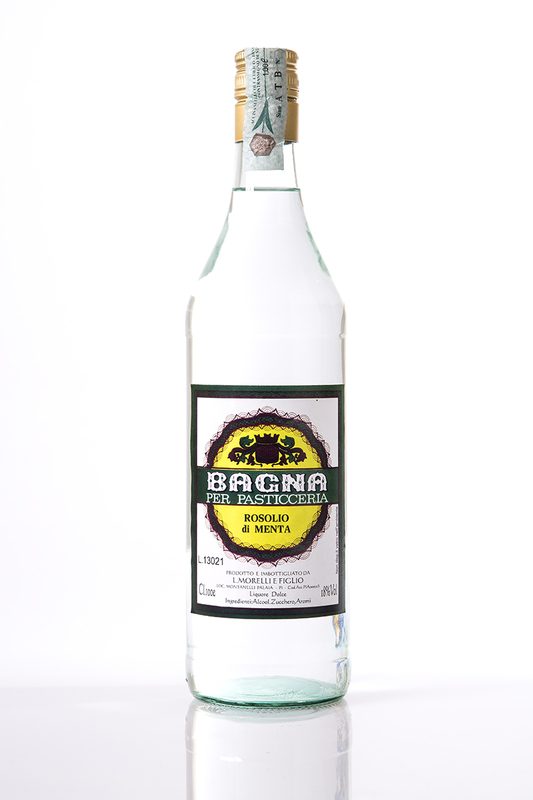 PRODUCTS: Product used by confectioners for soaking cakes. APPEARANCE: reddish purple colour, bright. 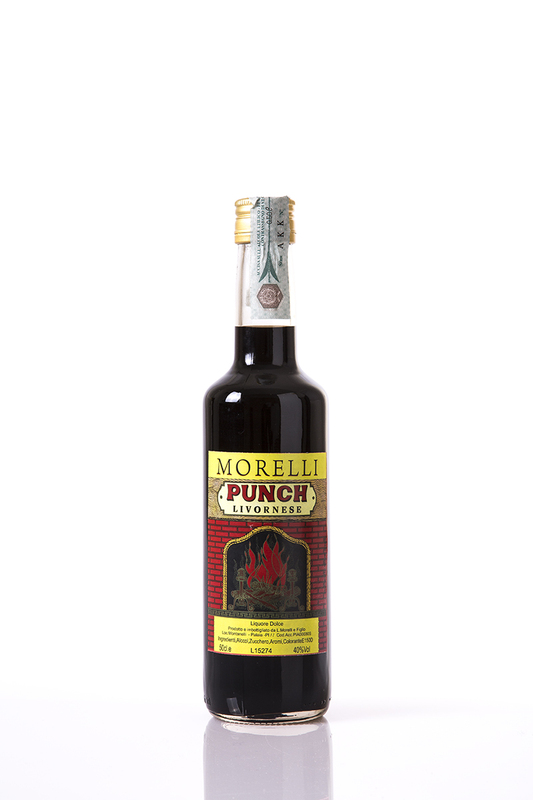 PRODUCTS: Alcohol derived from distillation of molasses. APPEARANCE: very limpid and transparent colour, bright. PRODUCT: Liqueur obtained by means of the infusion of orange peel steeped in alcohol. Product: liqueur obtained by the infusion of lemonpeels in alcohol. 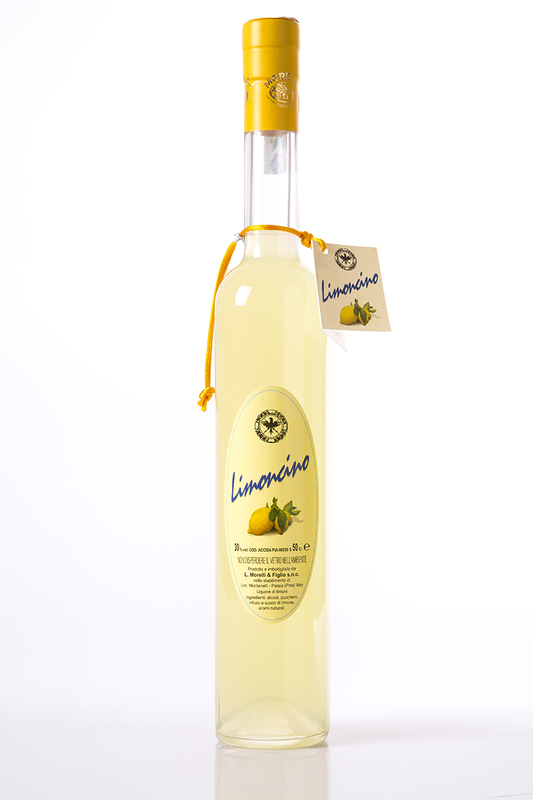 Method of production: lemons peeled and the skinis put in infusions for 7/10 days. The result is a tastyand dark yellow infusion. Then peels are removedand water and sugar are added. 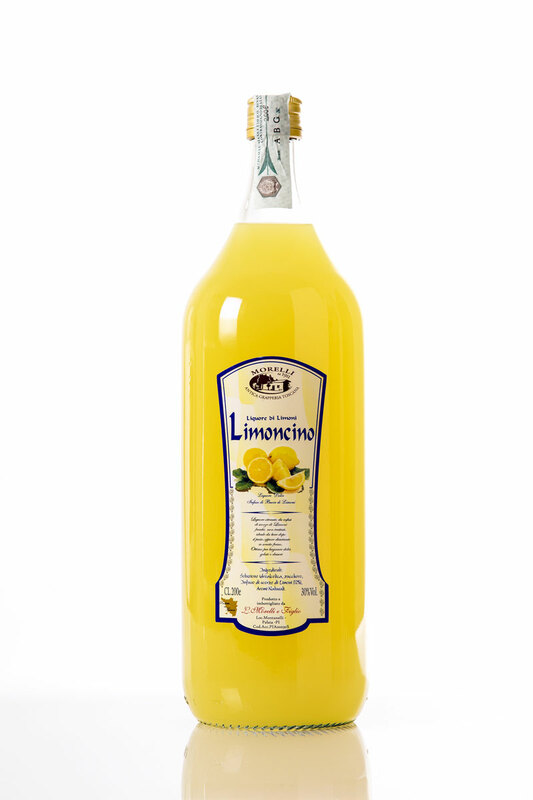 Limoncino is ready. 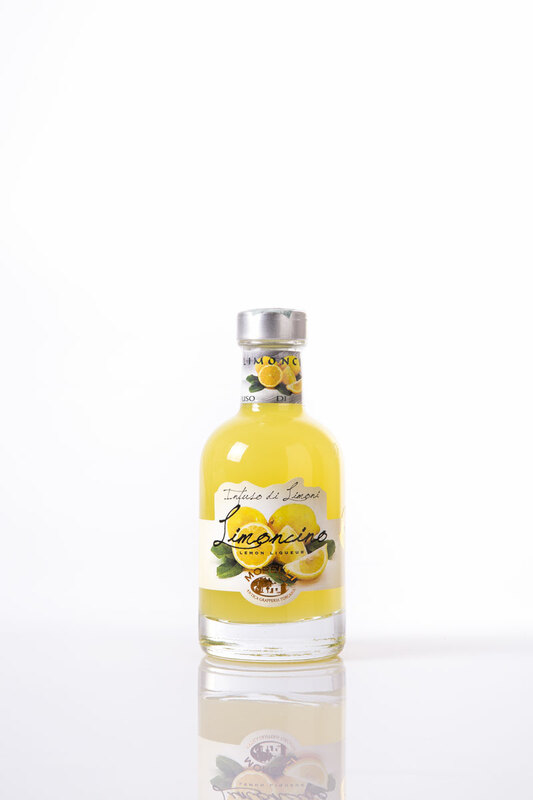 Taste:the perception of lemons is very intensive. 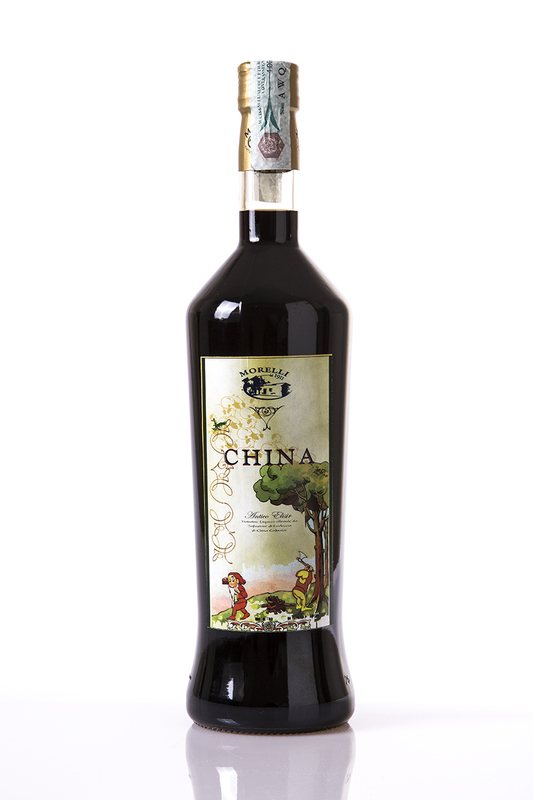 Very substantial in the mouth and its aroma islengering. It is recommended to be drunk cold butnot freezed. Product: liqueur obtained by the infusion of orangepeels in alcohol. Method of production: oranges peeled and the skinis put in infusions for 7/10 days. The result is a tastyand dark orange infusion. Then peels are removedand water and sugar are added. Arancino is ready. Taste:the perception of oranges is very intensive. 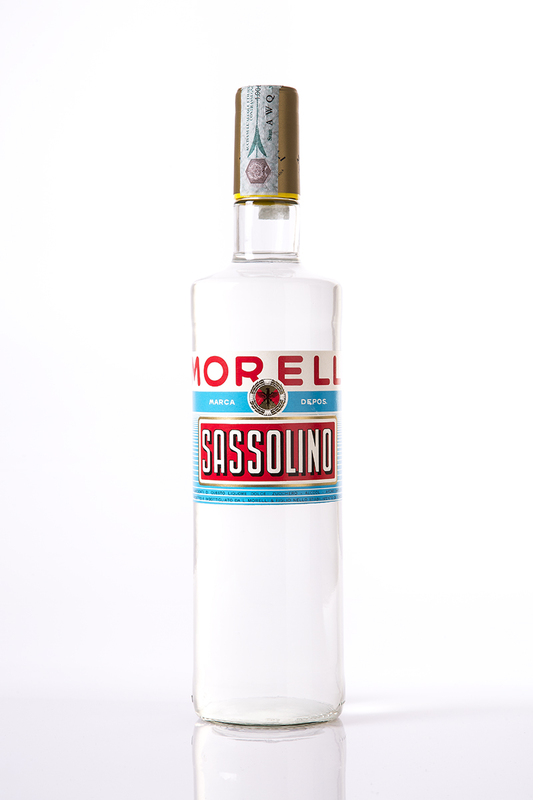 Very substantial in the mouth and its aroma islengering. It is recommended to be drunk cold but not freezed. 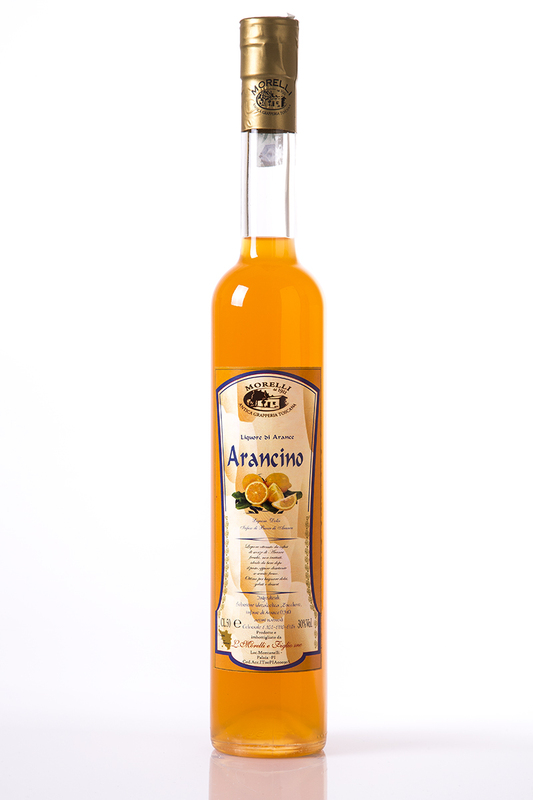 PRODOTTO: Liquore ottenuto mediante infusione di scorze di arancia messe a macerazione nell'alcool. 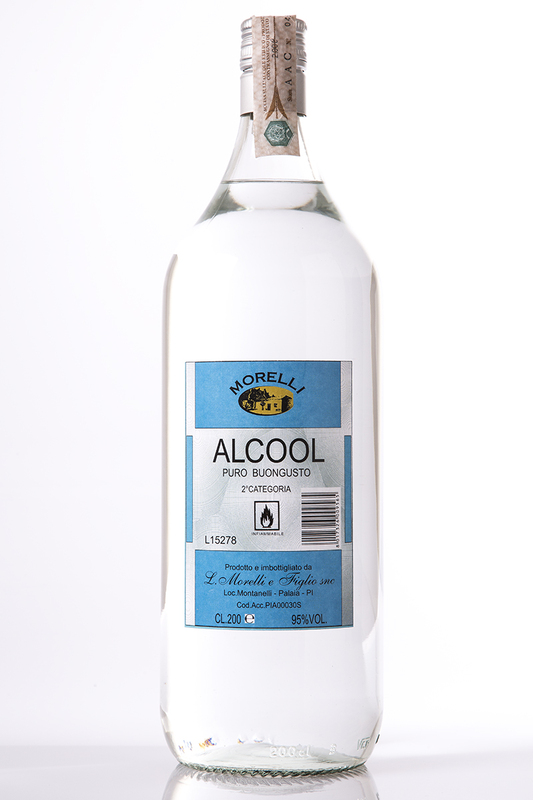 METODO: le arance vengono sbucciate, le loro bucce messe a macerazione di produzione: nell'alcool per circa 10 giorni; quello che ne deriva è un infuso che da colore e sapore al prodotto. Successivamente l'infuso viene mescolato con acqua e zucchero, e l'Arancino è pronto. 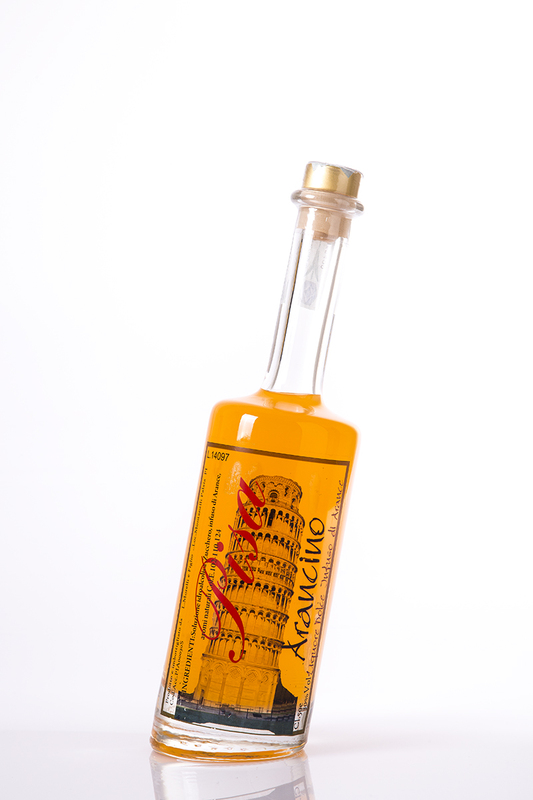 ASPETTO: arancio torbido e intenso, con riflessi brillanti. 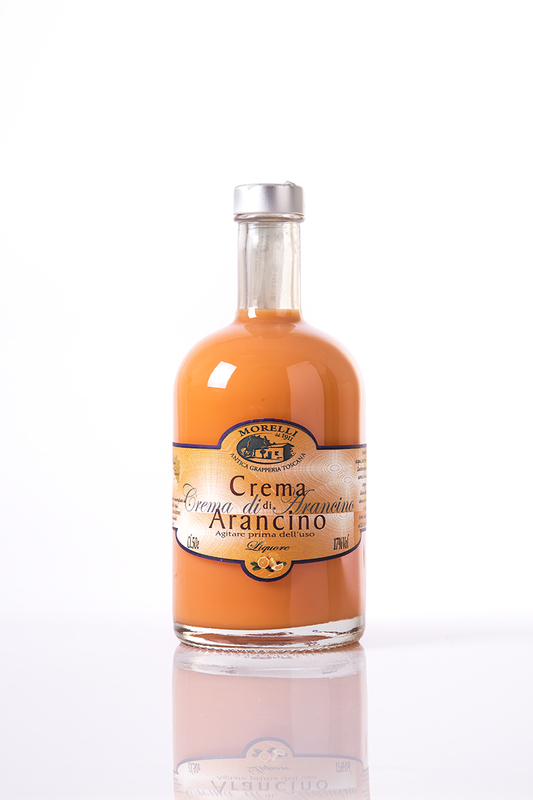 GUSTO: molto intensa la percezione dell'arancio, gradevole all'olfatto e al palato, molto consistente in bocca e persistente nella sua aromaticità. 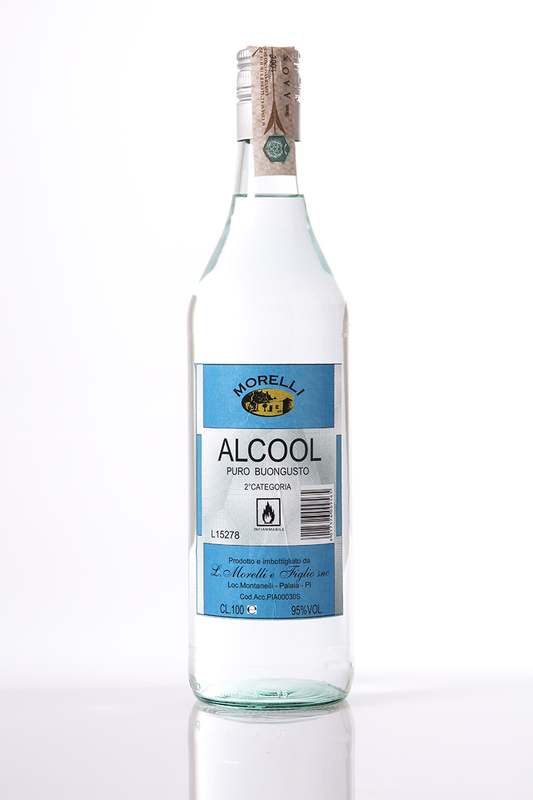 Anche bevuto caldo non si percepisce la parte alcolica. PRODUCTS: Produced to soak cakes. 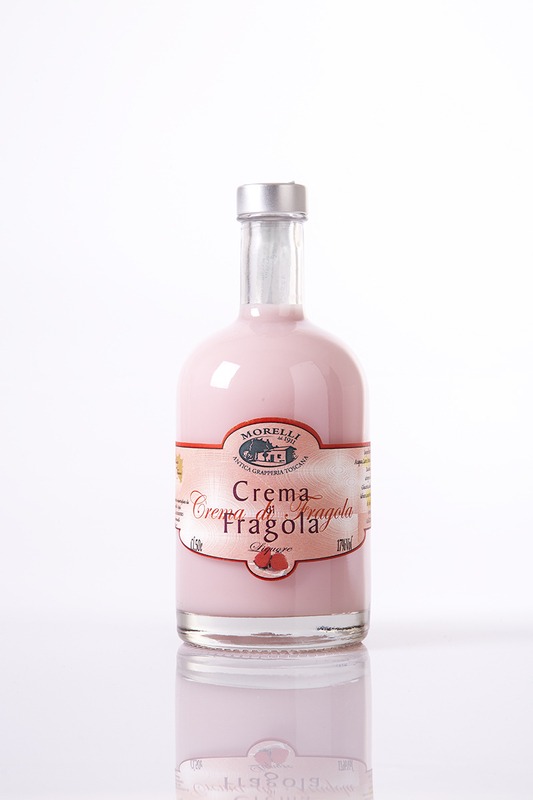 PRODUCT: Liqueur obtained by means of the infusion of strawberries and subsequent mixing with milk. 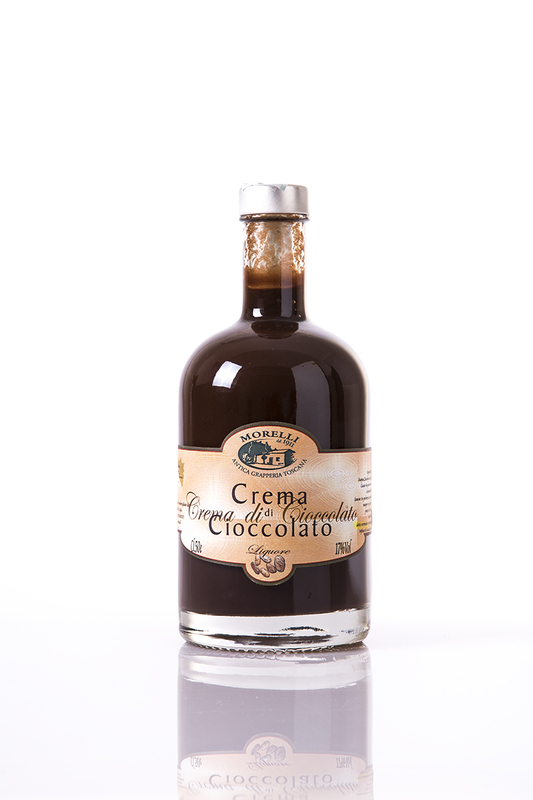 The product is composed of milk, cream, sugar, hydrated alcohol, sodium caseinate, glucose syrup, aromas. 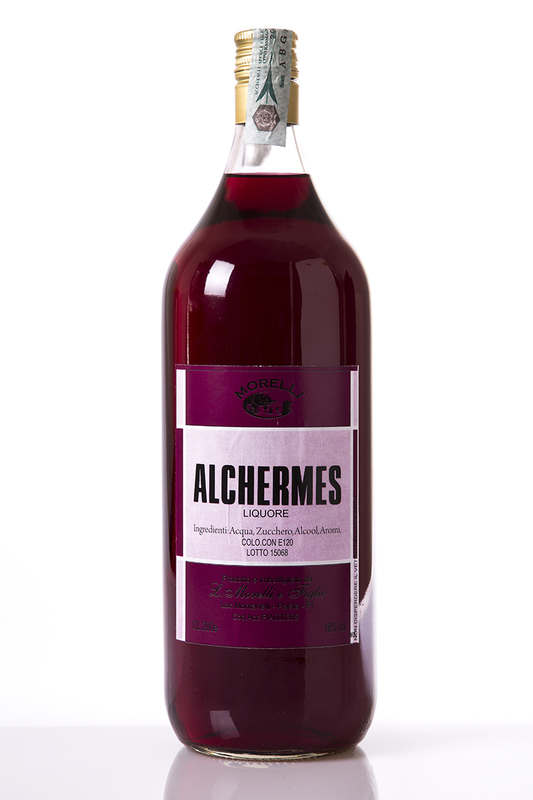 METHOD OF PRODUCTION: The strawberries are steeped in alcohol for about a week; what is derived from it is an infusion that gives colour and taste to the product. APPEARANCE: pink colour tending to red, with a bright appearance. 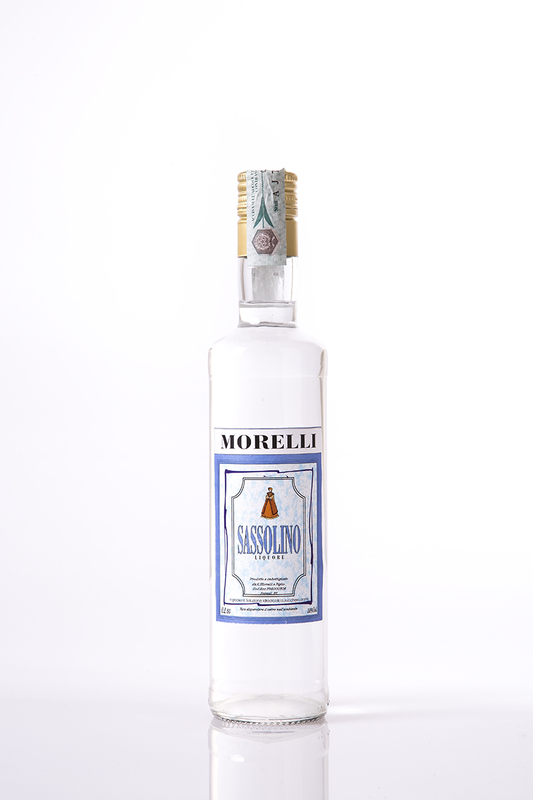 TASTE: very delicate, with a good blend of tastes, the taste of the milk and the strawberry well balanced, persistent in the nose and the aroma of grappa in the mouth. 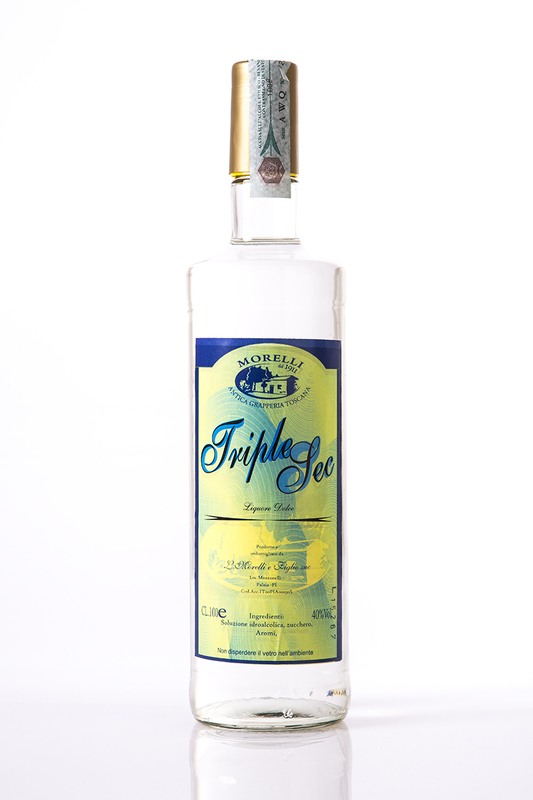 PRODUCT: Liqueur obtained by means of the infusion of orange peel and subsequent mixing with milk. 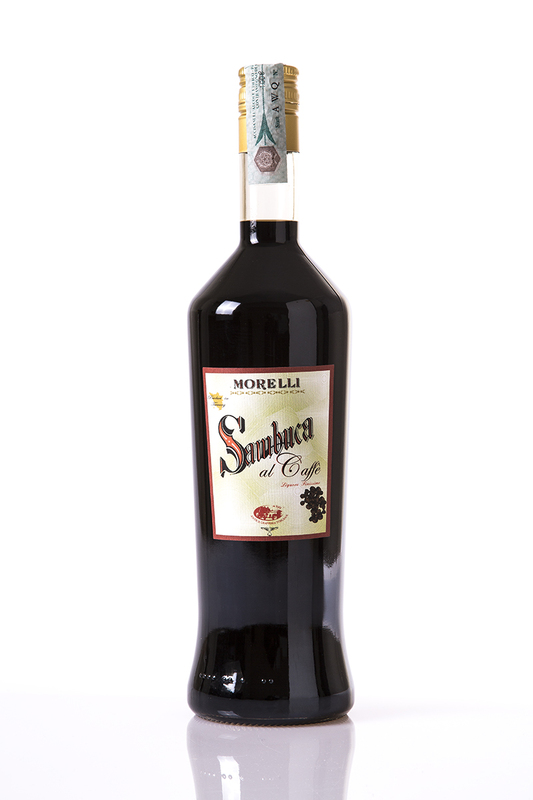 The product is composed of milk, cream, sugar, hydrated alcohol, sodium caseinate, glucose syrup, aromas. 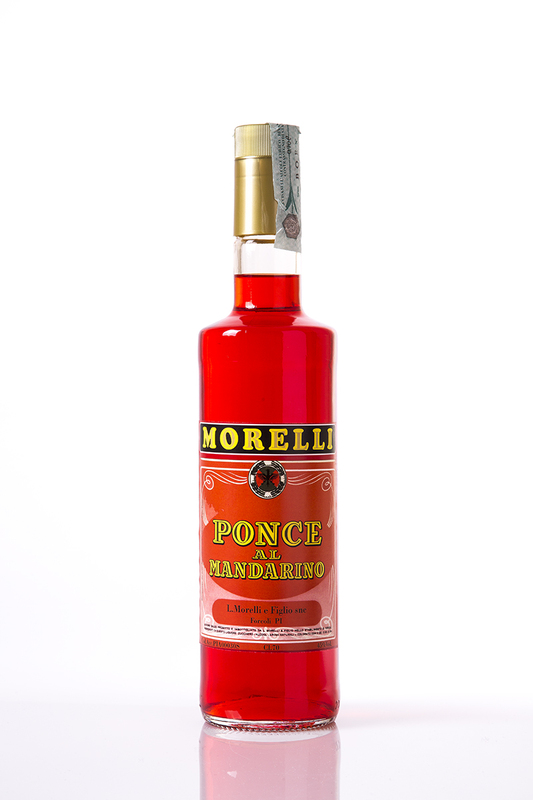 METHOD OF PRODUCTION: The oranges are peeled, the peel steeped in alcohol for about 10 days; what is derived from it is an infusion that gives colour and taste to the product. APPEARANCE: opaque orange, with an almost satin appearance, dense but with bright reflections. 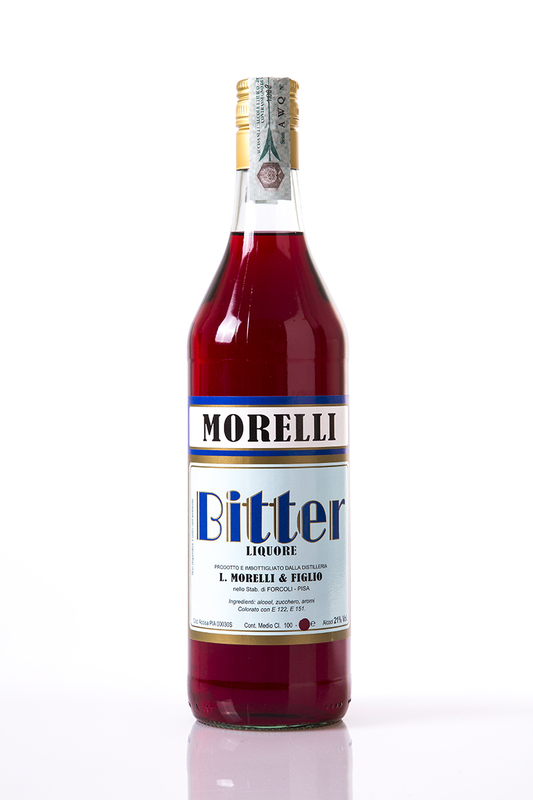 PRODOTTI: Liquore ottenuto mediante infusione di fragole e conseguente miscelazione con latte. 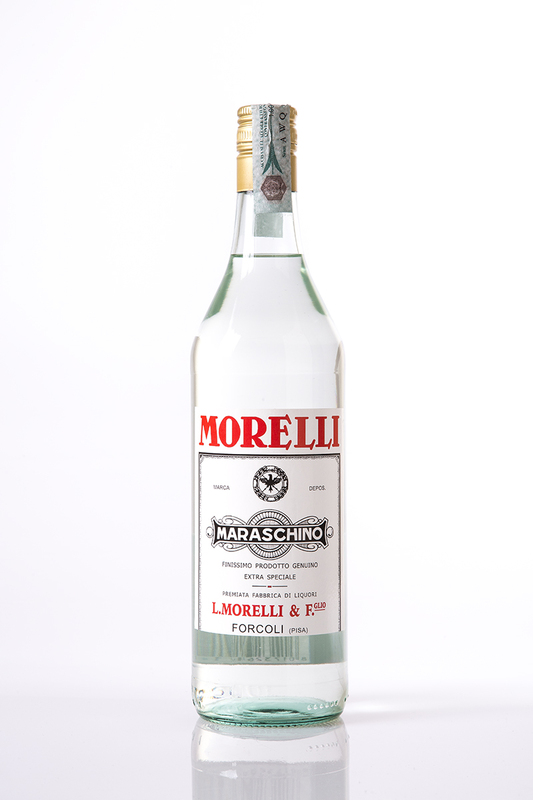 Il prodotto si compone di latte, panna, zucchero, alcool idrato, caseinato di sodio, sciroppo di glucosio, aromi. 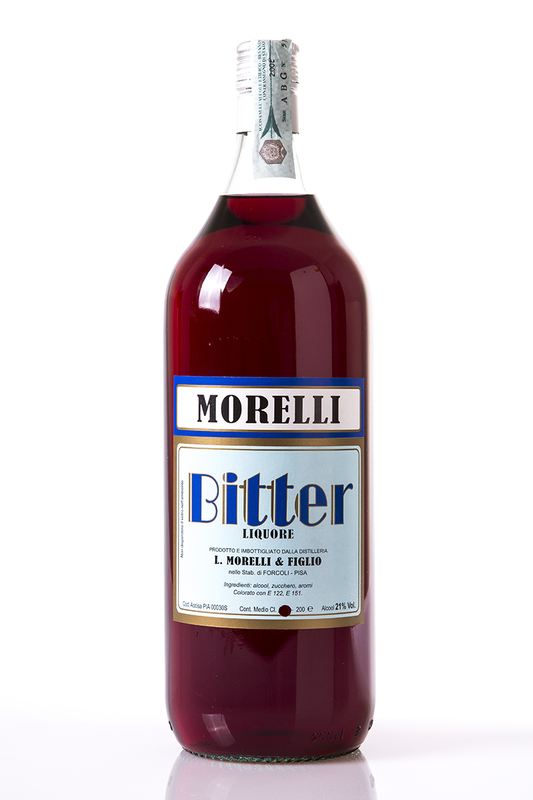 METODO DI PRODUZIONE: Le fragole vengono messe a macerazione nell'alcool per una settimana circa, quello che ne deriva è un infuso che da colore e sapore al prodotto. 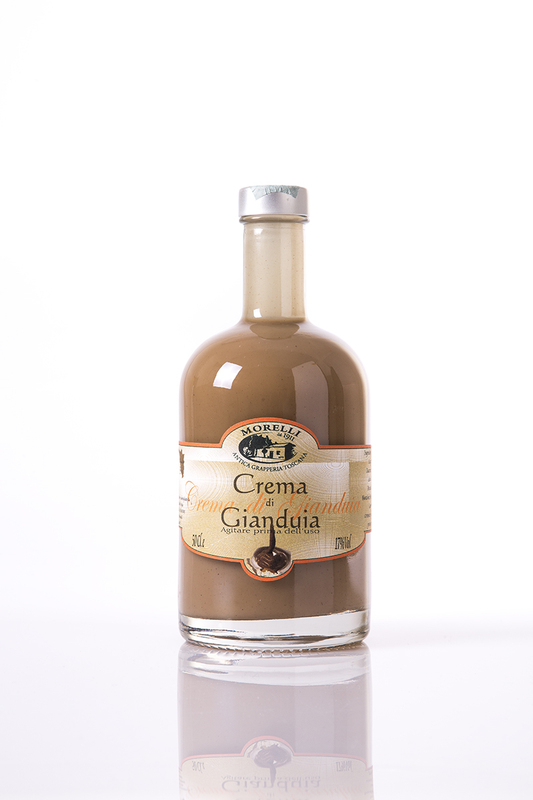 A completamento del prodotto questo liquore infuso viene miscelato con un preparato fatto mediante latte, zucchero, sciroppo di glucosio e aromi. ASPETTO: color rosa tendente al rosso, dall'aspetto brillante. 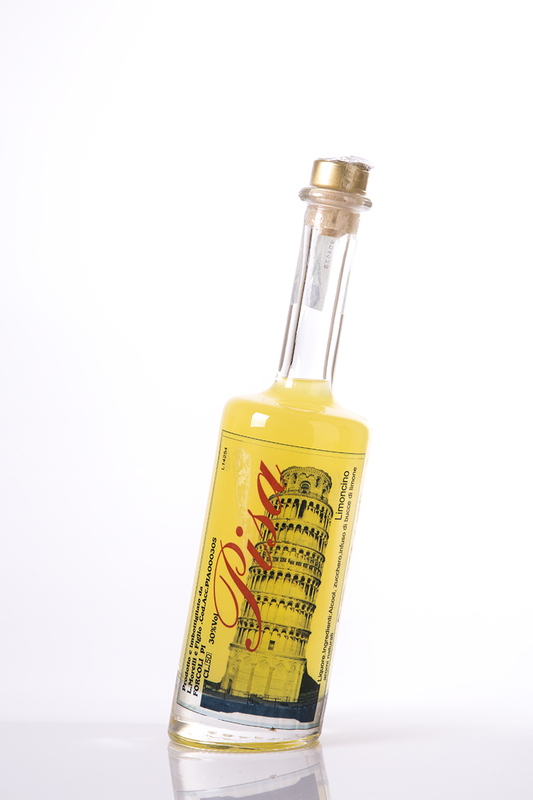 GUSTO: molto delicato, buon mix di gusti, ben bilanciati il sapore del latte e quello della fragola, persistente al naso e in bocca l'aroma di grappa. 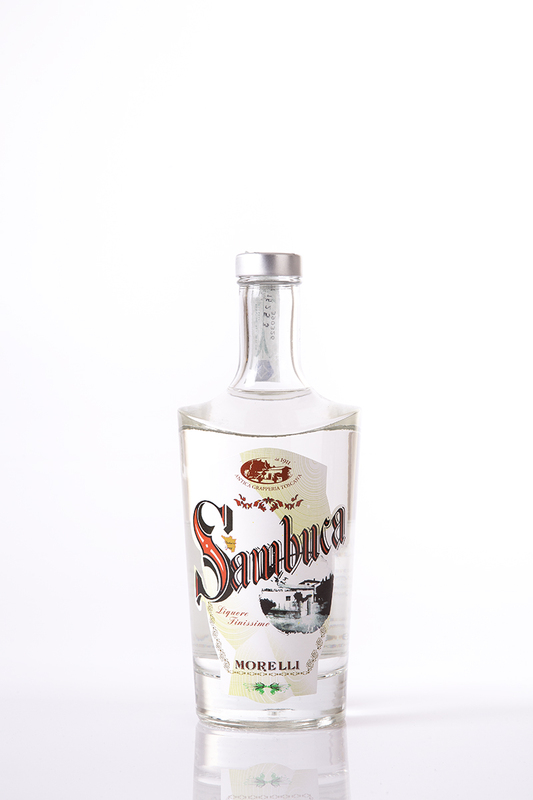 PRODUCT: Liqueur obtained by means of the infusion of strawberries and subsequent mixing with milk. 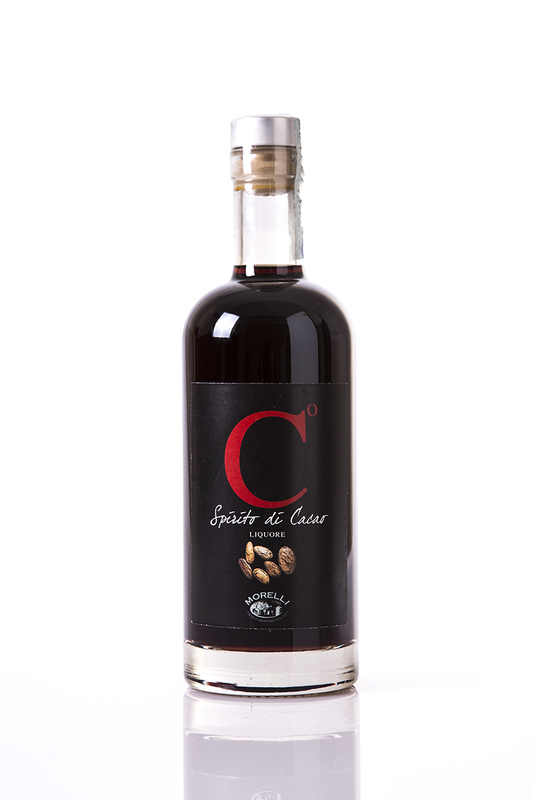 The product is composed of milk, cream, sugar, hydrated alcohol, sodium caseinate, glucose syrup and pistachio paste. 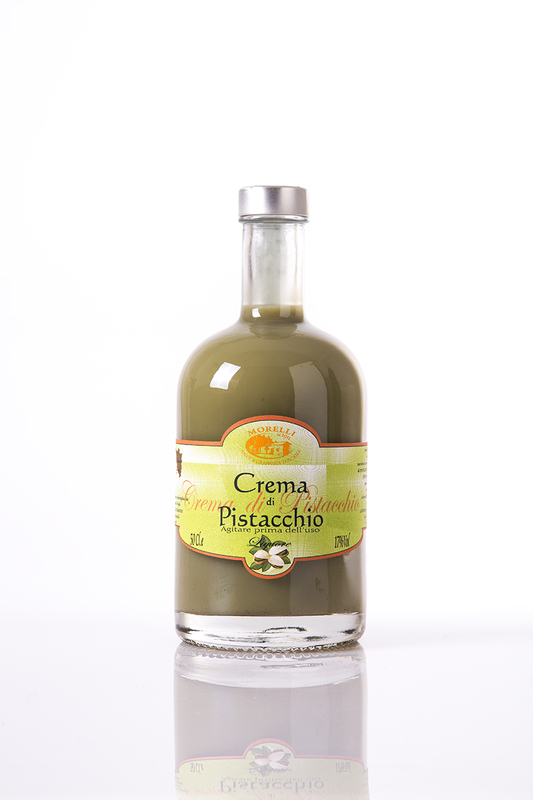 Finally the basis is enriched with pistachio paste. APPEARANCE: light green, very dense, satin. 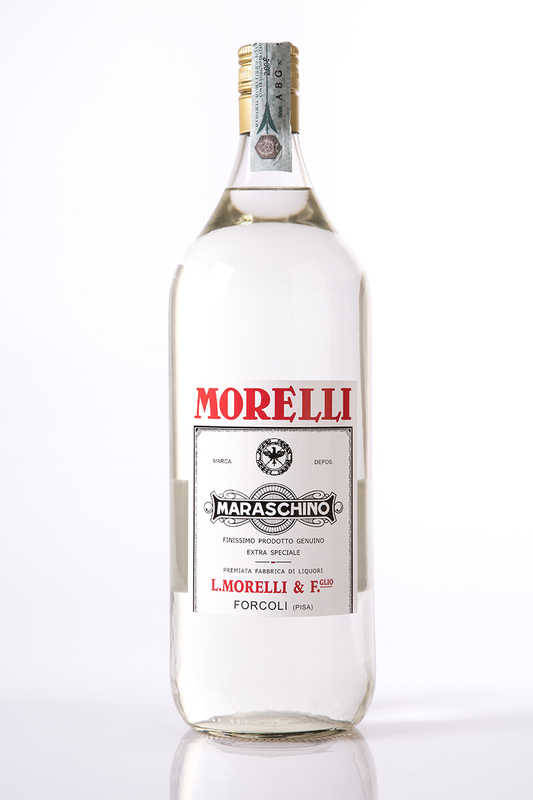 TASTE: very delicate, with a good blend of tastes, the taste of the milk and the pistachio well balanced, persistent in the nose and the aroma of pistachio in the mouth. 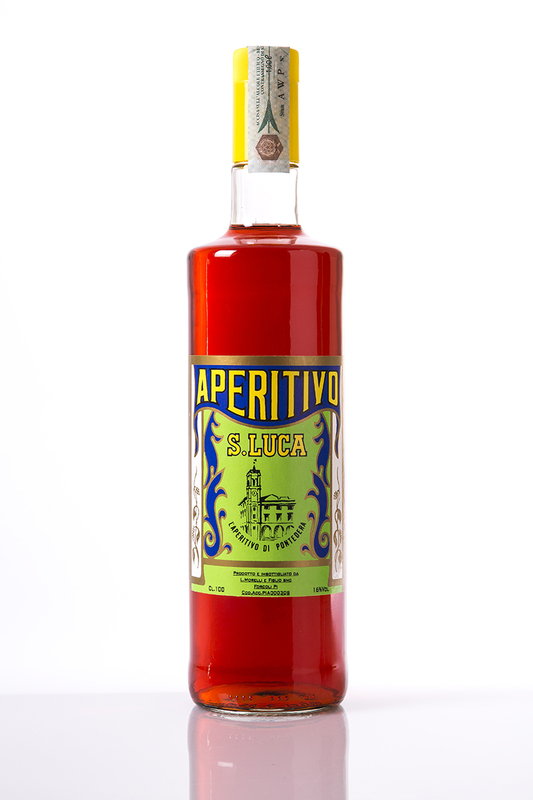 PRODUCT: Liqueur obtained by means of the infusion of strawberries and subsequent mixing with milk. 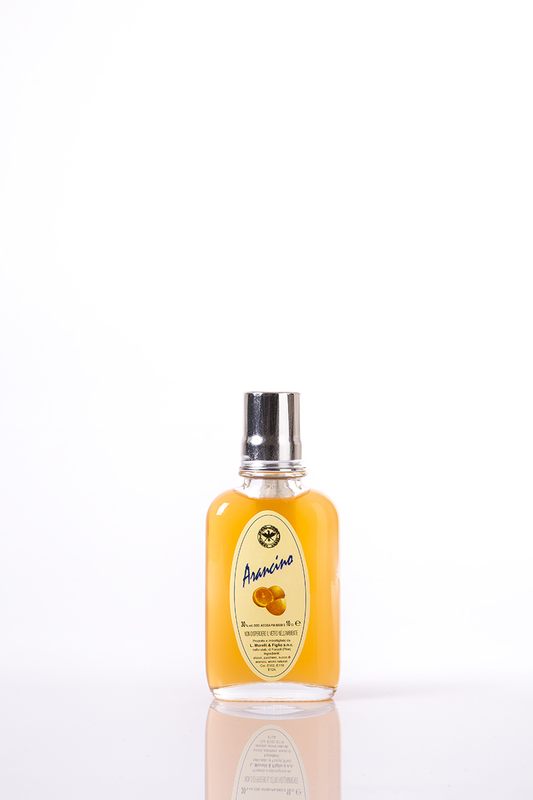 The product is composed of milk, cream, sugar, hydrated alcohol, sodium caseinate, glucose syrup and natural aromas. APPEARANCE: light brown, very dense, satined. TASTE: very delicate, with a good blend of tastes, the taste of the milk and the coffee well balanced, pleasing to the nose and pleasant in the mouth. 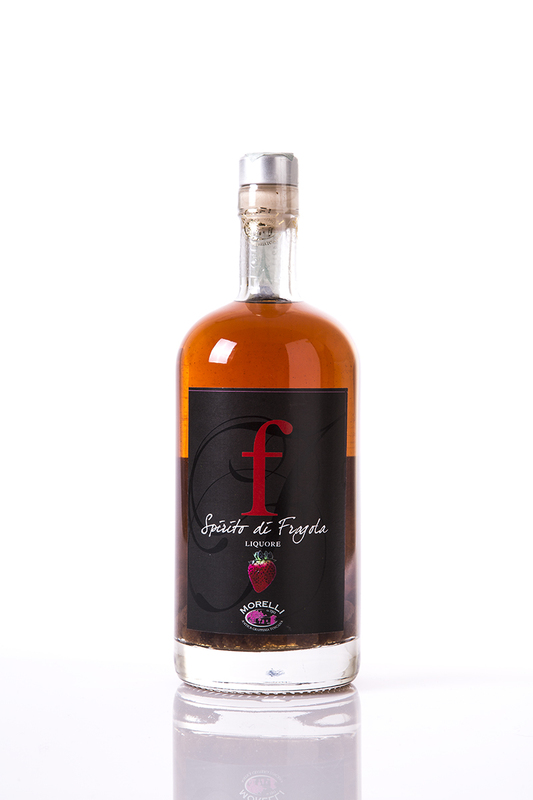 PRODUCT: Liqueur obtained by means of the infusion of strawberries and subsequent mixing with milk. 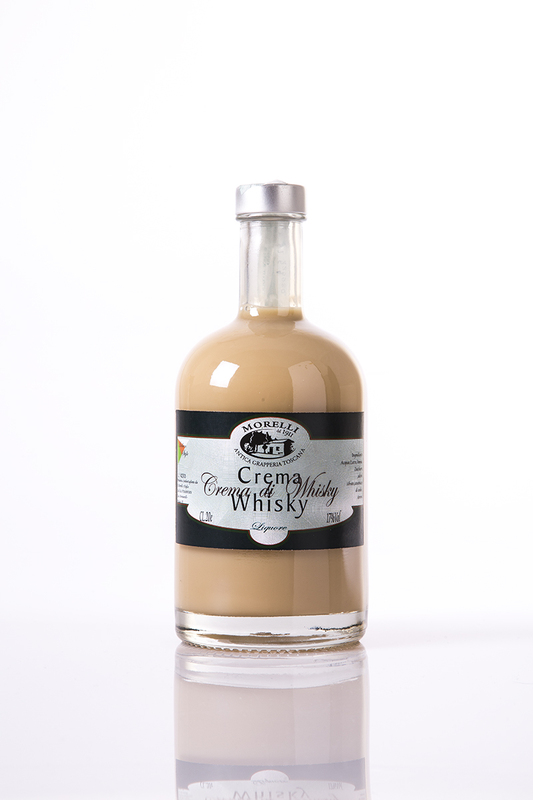 The product is composed of milk, cream, sugar, hydrated alcohol, sodium caseinate, glucose syrup, whisky and natural aromas. APPEARANCE: light brown, opaque, with milk tones and bright reflections. 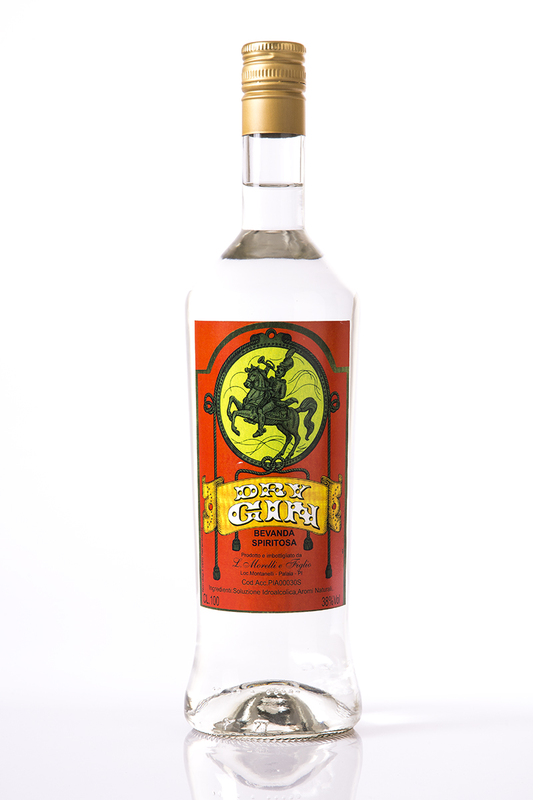 TASTE: very delicate, with a good blend of tastes, the taste of the milk and the whisky well balanced, pleasing to the nose and pleasant in the mouth. 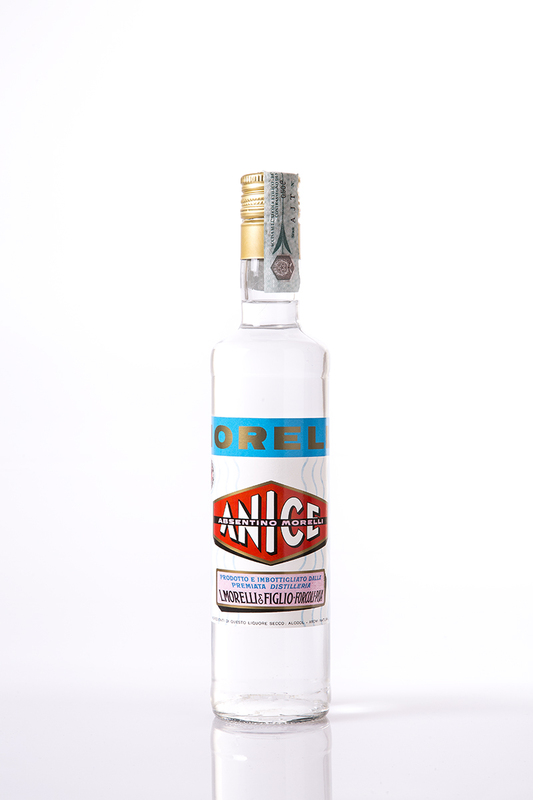 PRODUCT: Liqueur obtained by means of the mixing of milk, cream, sugar, hydrated alcohol, sodium caseinate, glucose syrup and hazel-nut paste. and whisky. Finally the basis is enriched with hazel-nut paste. 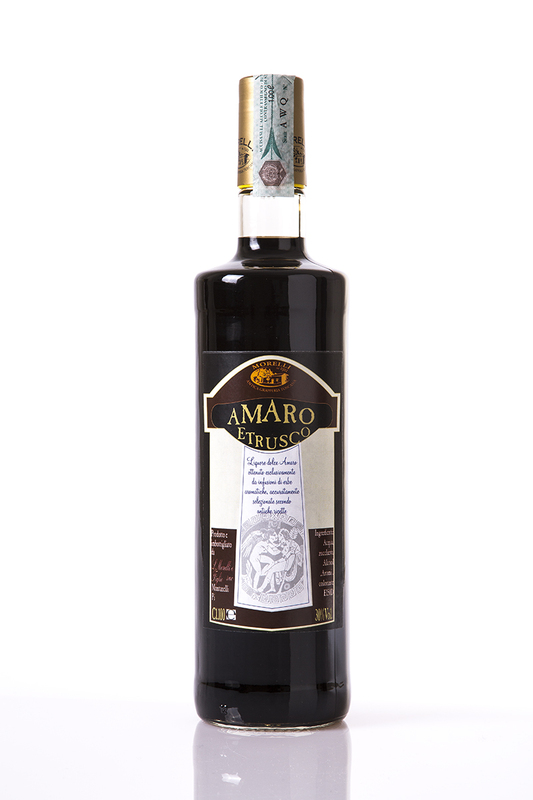 TASTE: very delicate, with a good blend of tastes, the taste of the milk and the hazel-nut well balanced, persistent to the nose and aroma of hazel-nut in the mouth. 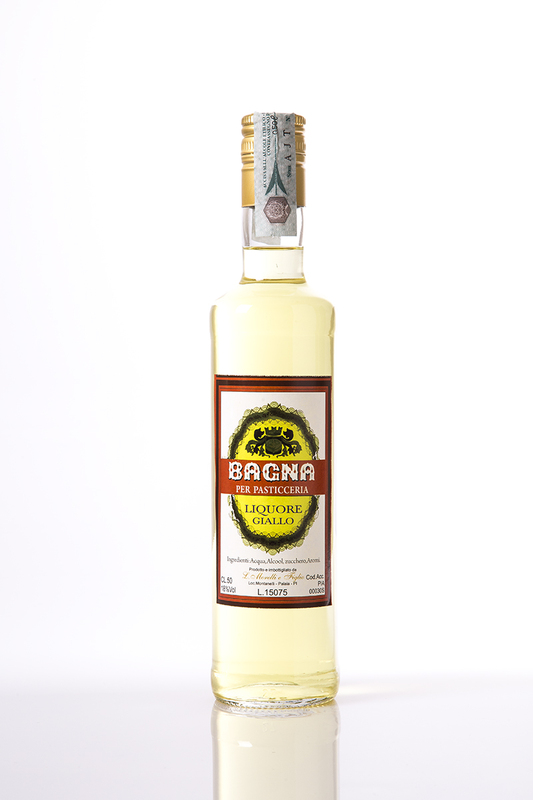 PRODUCTS: Liqueur obtained by means of the mixing of milk, cream, sugar, hydrated alcohol, sodium caseinate, glucose syrup, grappa and natural aromas. 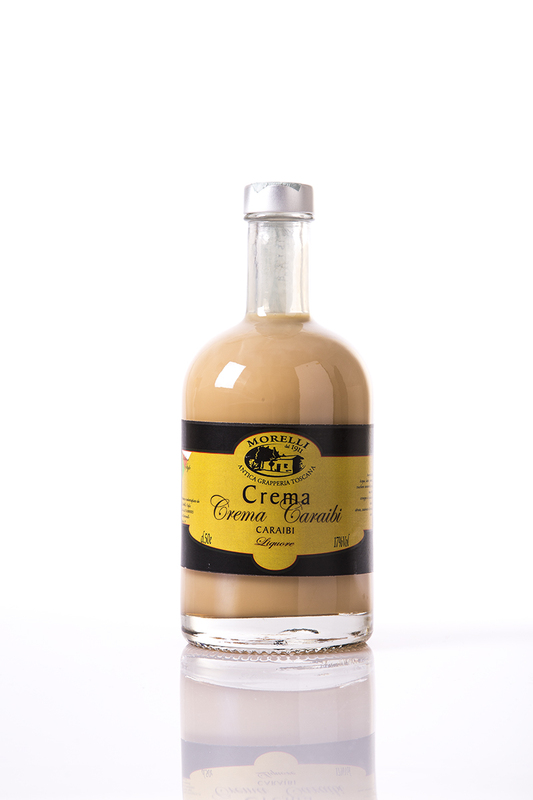 METHOD OF PRODUCTION: The basis of this product is a cream formed by milk, cream, hydrated alcohol, sodium caseinate and glucose syrup, finally all skillfully emulsified by alcohol and grappa. APPEARANCE: opaque white, with milk tones, with bright reflections. 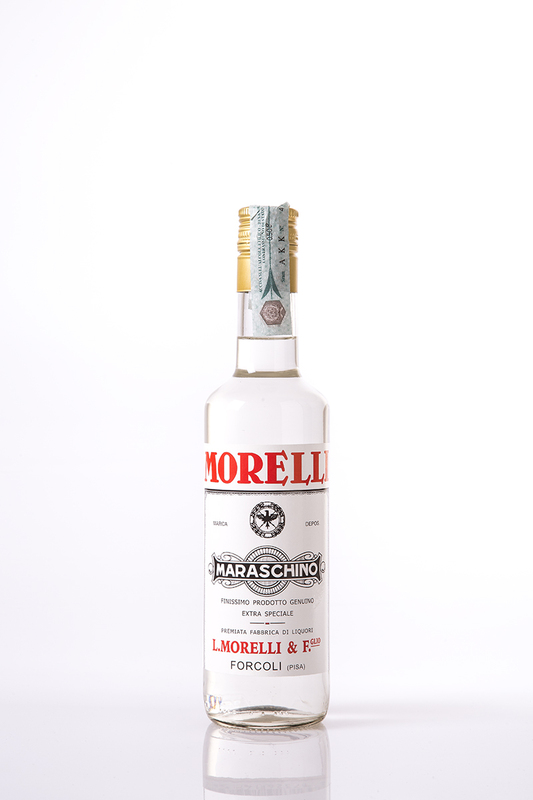 TASTE: very delicate, with a good blend of tastes, the taste of the milk and the grappa well balanced, persistent to the nose and aroma of strawberry in the mouth. 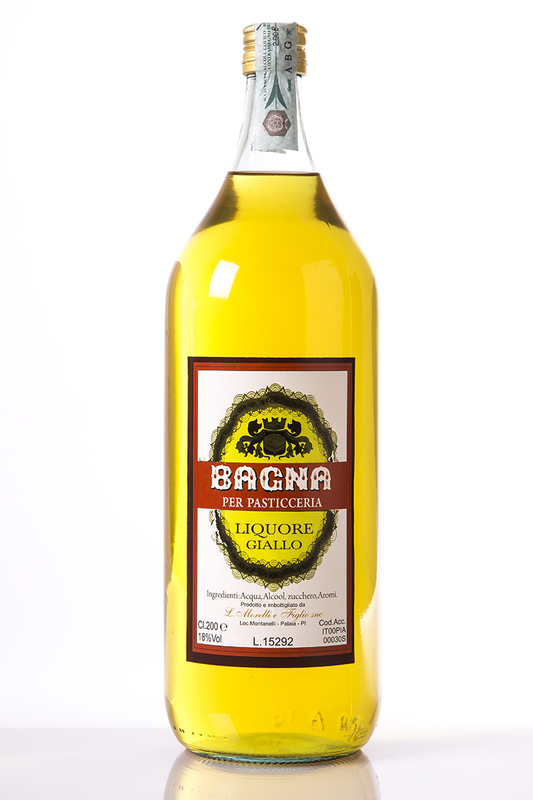 PRODUCTS: Liqueur obtained by means of the mixing of milk, cream, sugar, hydrated alcohol, sodium caseinate, glucose syrup and natural aromas. 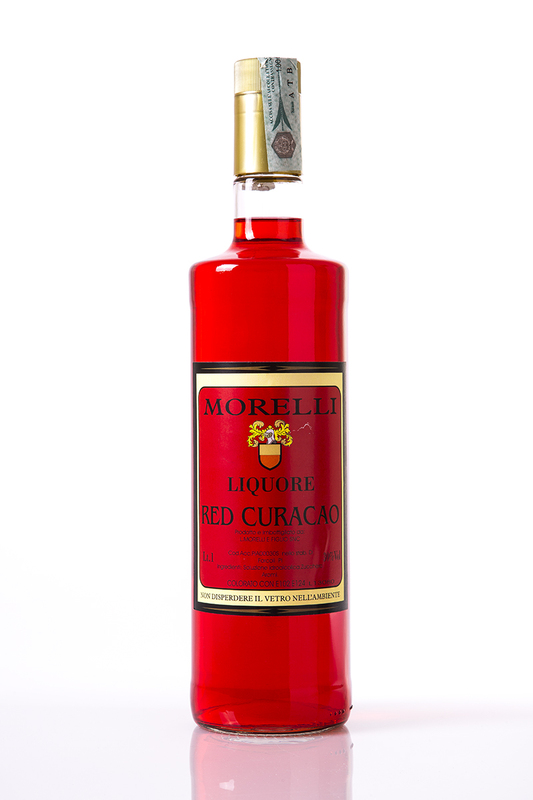 METHOD OF PRODUCTION: The basis of this product is a cream formed by milk, cream, hydrated alcohol, sodium caseinate and glucose syrup, all skillfully emulsified by alcohol; finally the basis is enriched with completely natural aromas of Caribbean rum. APPEARANCE: dark white, opaque, tending towards grey, with ash-coloured reflections. 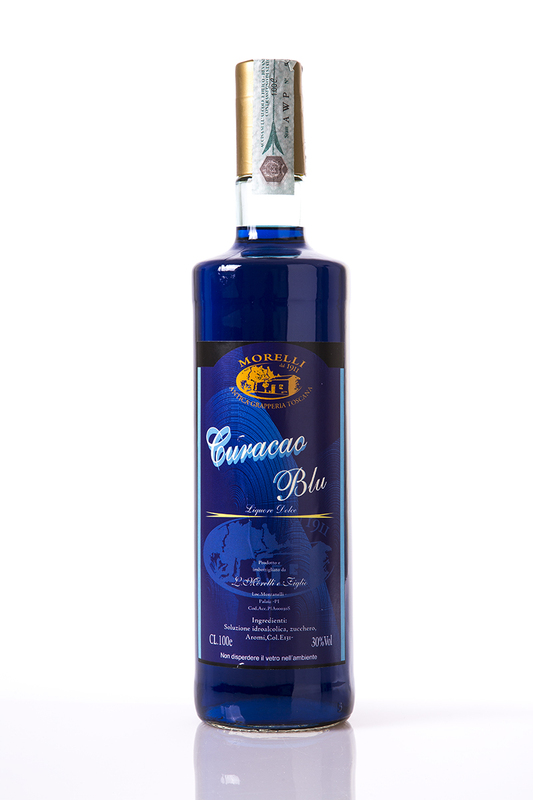 TASTE: very delicate, with a good blend of tastes, the taste of the milk and the Caribbean rum well balanced, intense to the nose and pleasing to the mouth. 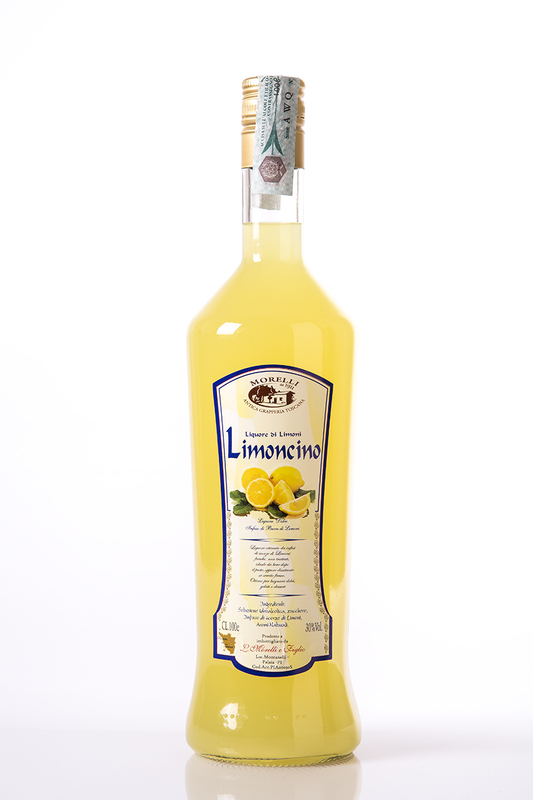 PRODUCT: Liqueur obtained by means of the infusion of lemon peel steeped in alcohol. 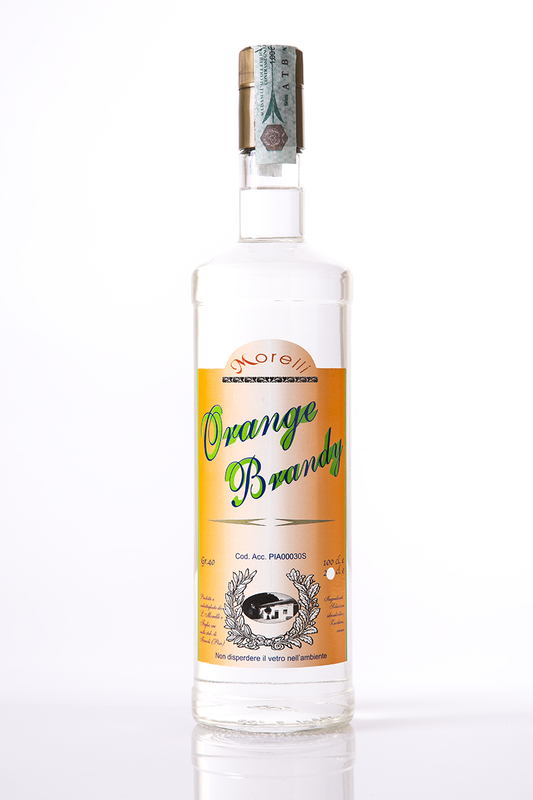 PRODUCT: liqueur produced by combining brandy and orange taste aromas. TASTE: delicate, round, the flavour of oranges is perceived. 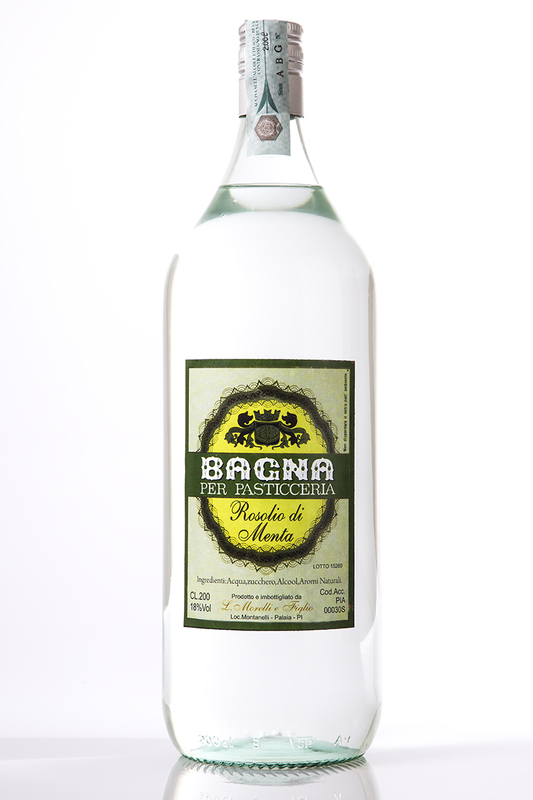 PRODUCT: Sweet liqueur obtained by means of hydroalcoholic solution of water, alcohol and natural aroma of Curacao Oranges. 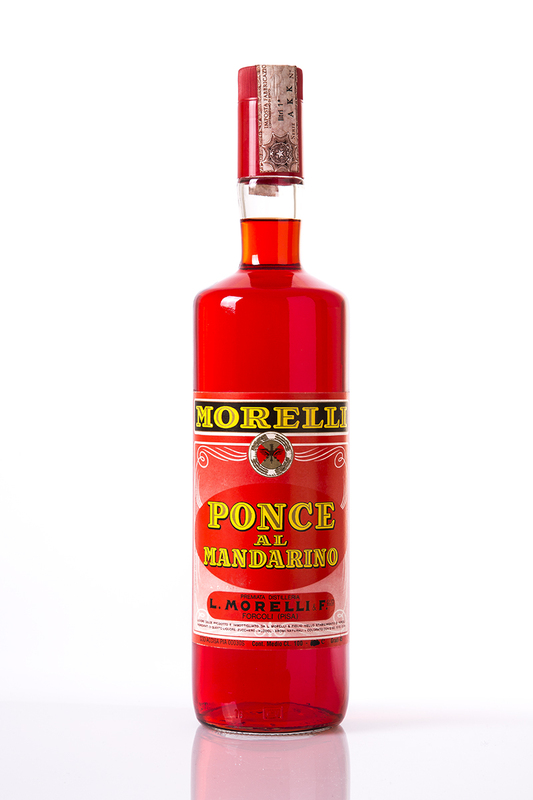 TASTE: The taste of orange very pronounced, sweet and delicate liqueur. 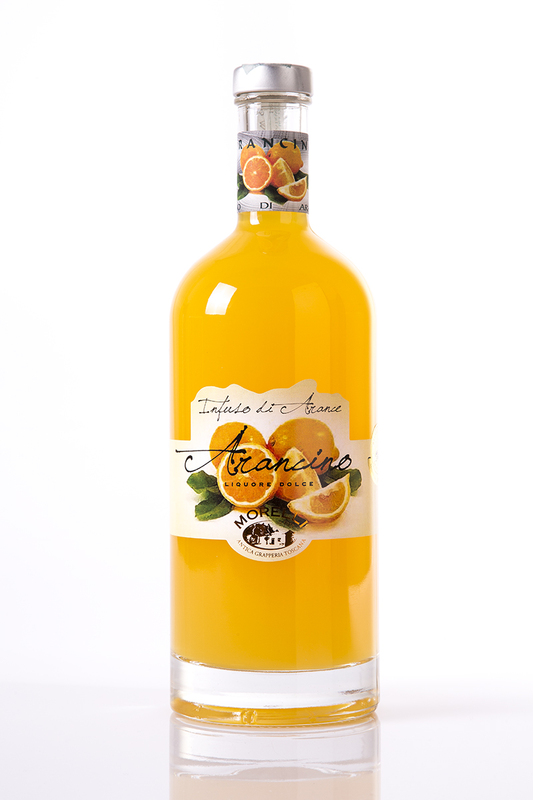 PRODUCT: Sweet liqueur obtained by means of hydroalcoholic solution, sugar and natural aromas that give it the taste of oranges. TASTE: Delicate, the taste of oranges very perceptible. 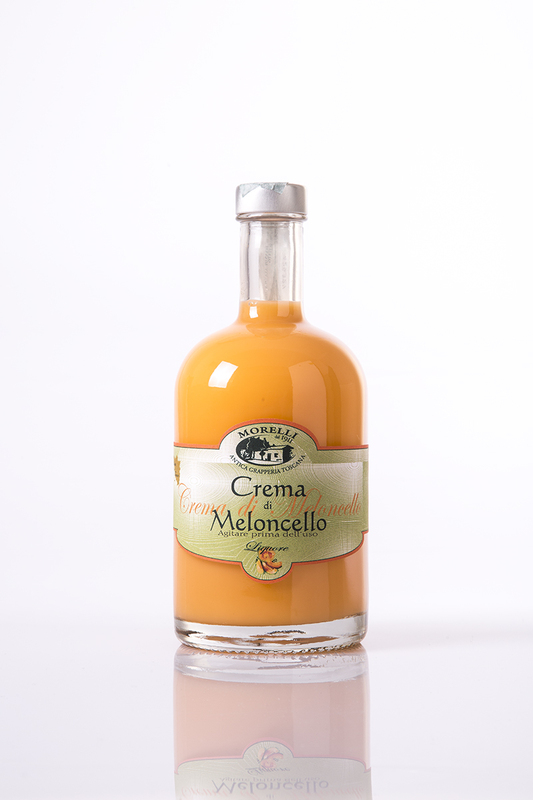 PRODUCT: Sweet liqueur obtained by means of hydroalcoholic solution, sugar and natural orange flavour aromas. TASTE: Sweet taste, the taste of oranges very perceptible. 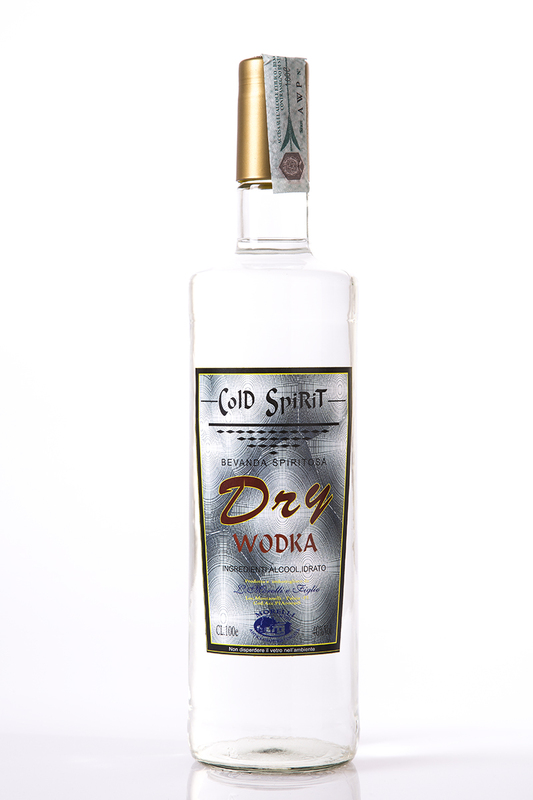 PRODUCT: Spirited drink based on water, alcohol and aromas. 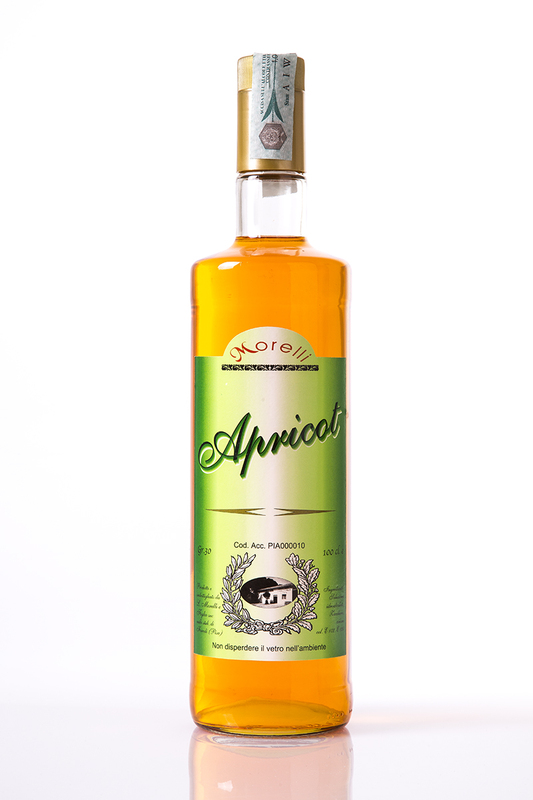 PRODUCT: Sweet liqueur obtained from water, alcohol sugar and apricot flavour aromas. 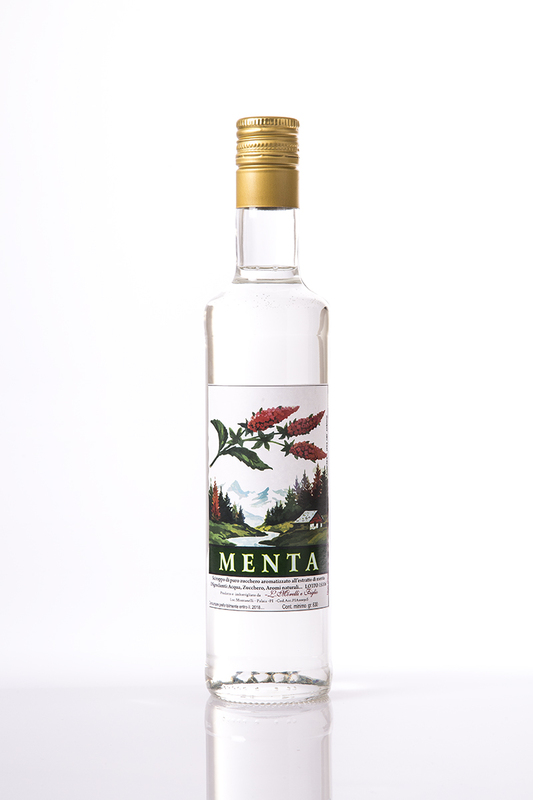 PRODUCT: Slightly sweet liqueur, obtained by mixing water, sugar, alcohol and an infusion of various herbs, which has within it very many qualities of various herbs, of which there are more than twenty. TASTE: Very pronounced the taste of bitter, slightly sweet, having 15% sugar, hint of bitter. 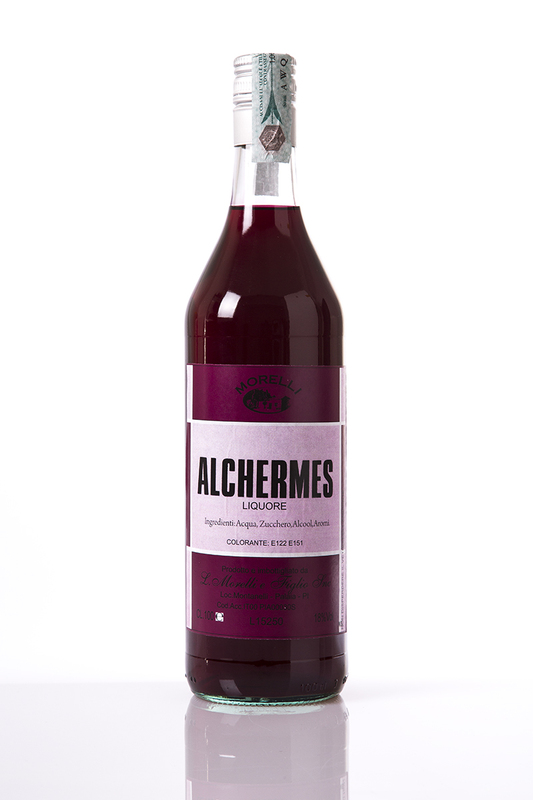 ALCOHOLIC STRENGTH: a dark amaranthine colour, it has very full-bodied and not bright colour, coloured with 122 and 151, natural colourants. 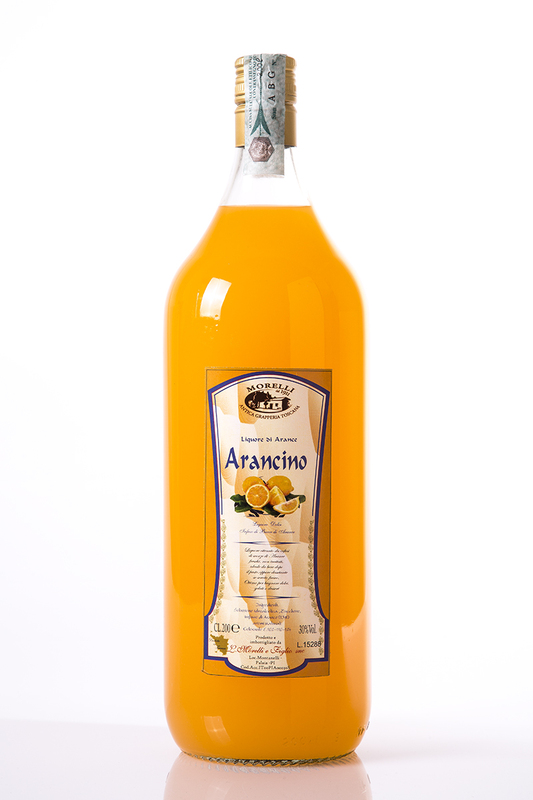 PRODUCTS: also called the “the aperitive of Pontedera”, it is an alcoholic drink that can be drunk neat or with prosecco and a slice of orange. PRODUCT: Dry liqueur, produced by mixing water, alcohol and natural aromas derived from the addition of essential oils that are extracted from the plant Badiana that produces star anise. 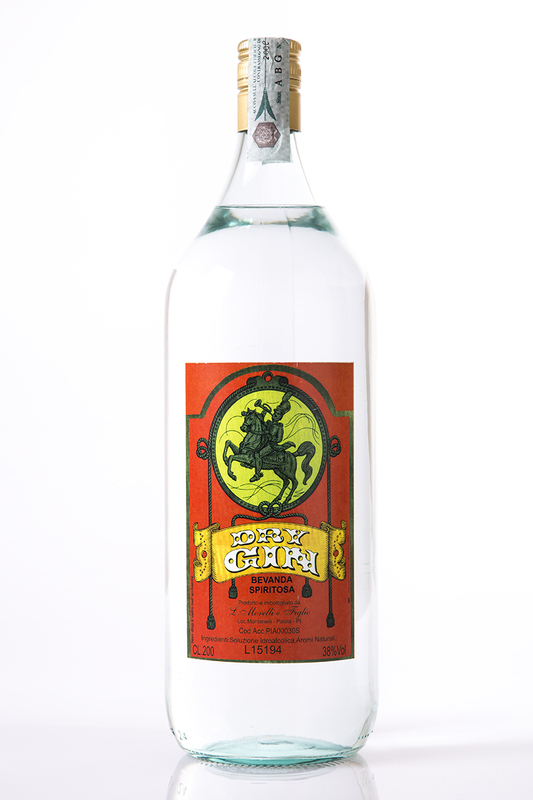 TASTE: very pleasing in the mouth and to the nose, outstanding bouquet and an unusual, refreshing aroma. 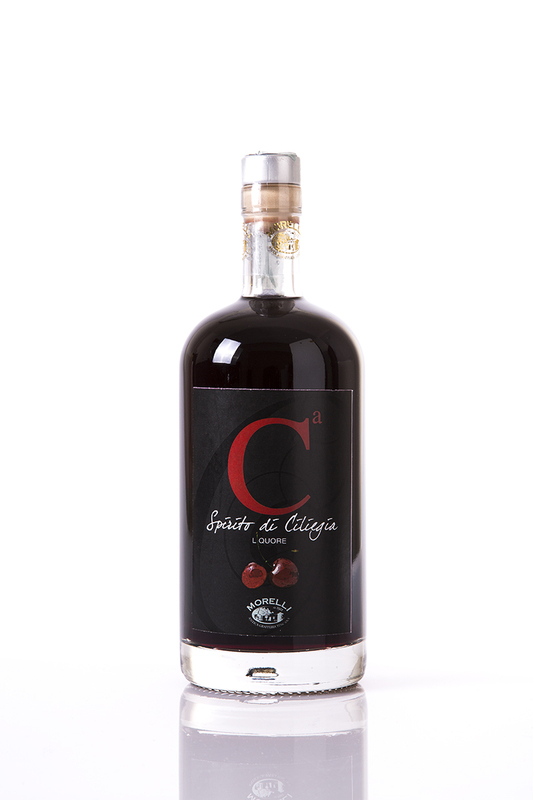 PRODUCT: Very sweet liqueur obtained by mixing water, sugar and aromas derived from the infusion and steeping of the Marasca cherry. 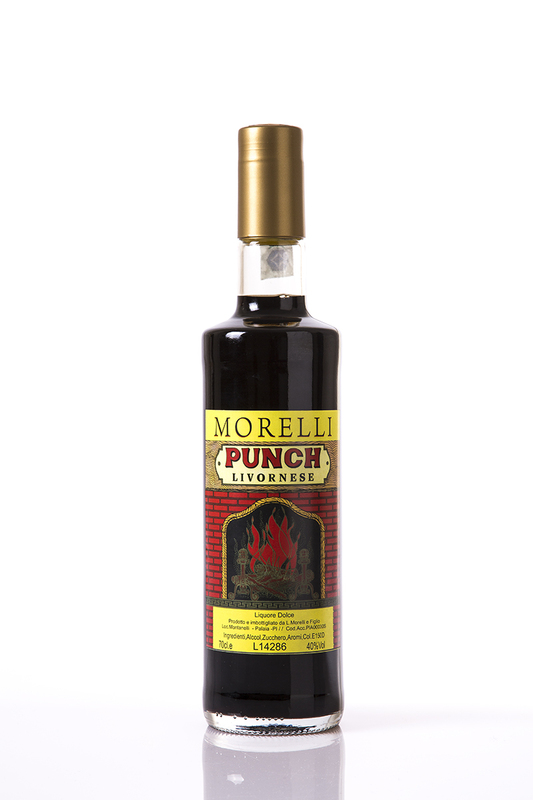 TASTE: very pleasing in the mouth and to the nose, with an outstanding bouquet and an unusual refreshing aroma, the taste of the cherry is very persistent. 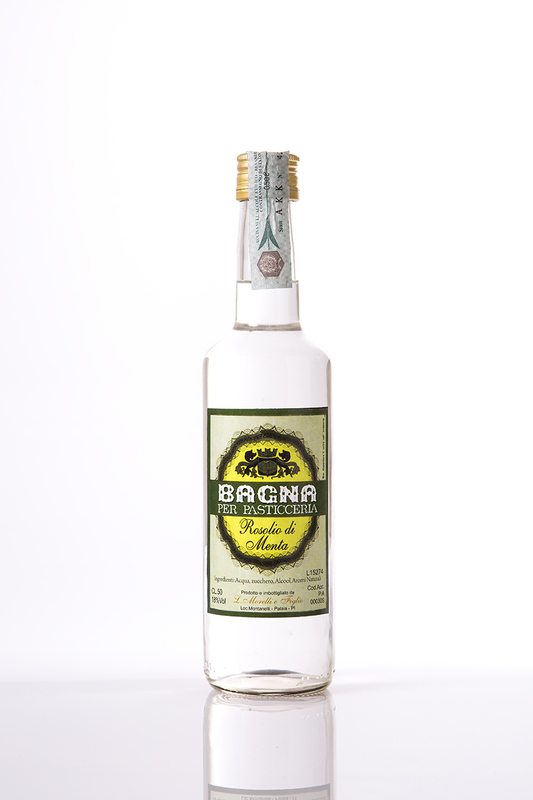 PRODUCT: Sweet liqueur produced by mixing water, alcohol and natural aromas derived from the addition of essential oils that are extracted from the plant Badiana that produces star anise, contains 15& sugar. PRODUCT: Dry liqueur very well known for being an economical surrogate for cognac, obtained by mixing water, very little sugar, and natural cognac aromas. 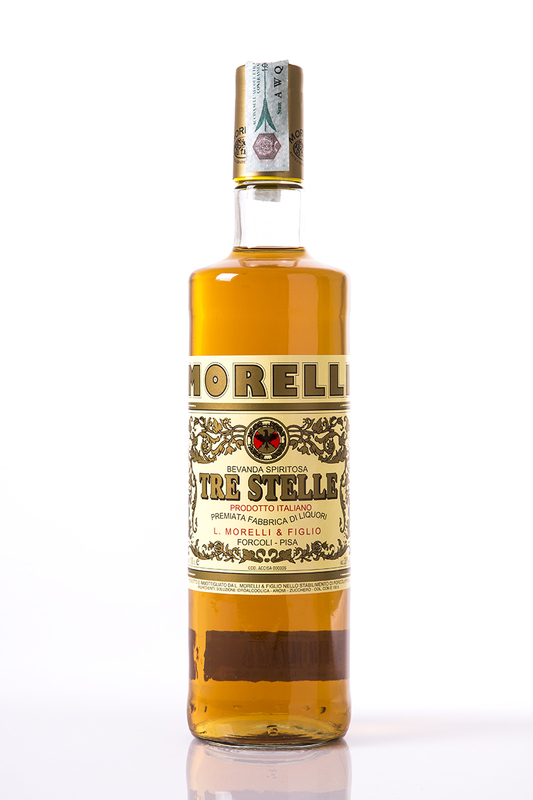 TASTE: very characteristic with the taste of cognac, very dry in the mouth, but very pleasing to the nose. APPEARANCE: Limpid, bright, brownish tending towards yellow. 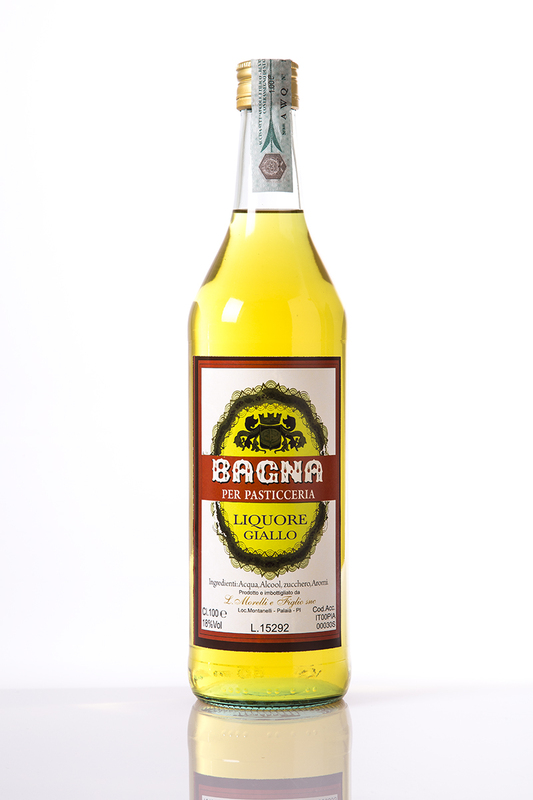 PRODUCT: Dry liqueur derived from aromatic herbs, very well known for its almost health-giving use due to its natural herbs. TASTE: very characteristic and pleasing, bitter and dry. 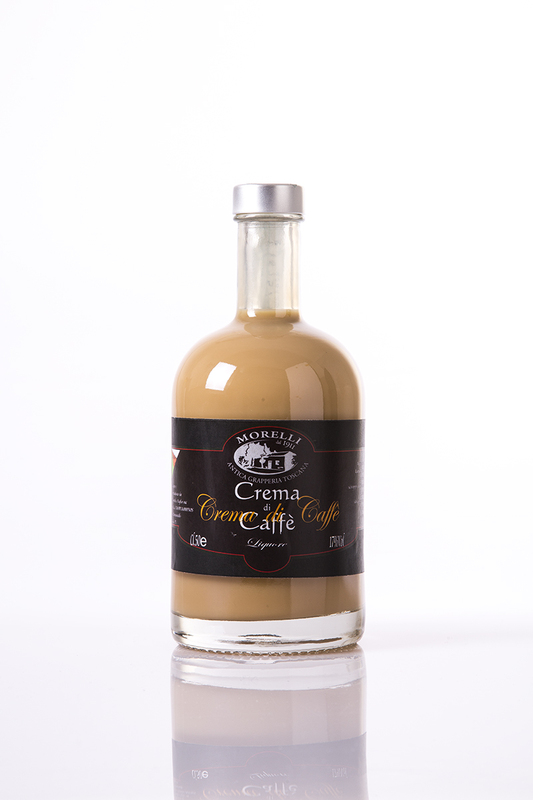 APPEARANCE: the colour of coffee, very dark and not bright, colourant cl E 150 B, which is a caramel that confers on its dark colour and rounds off its aroma. 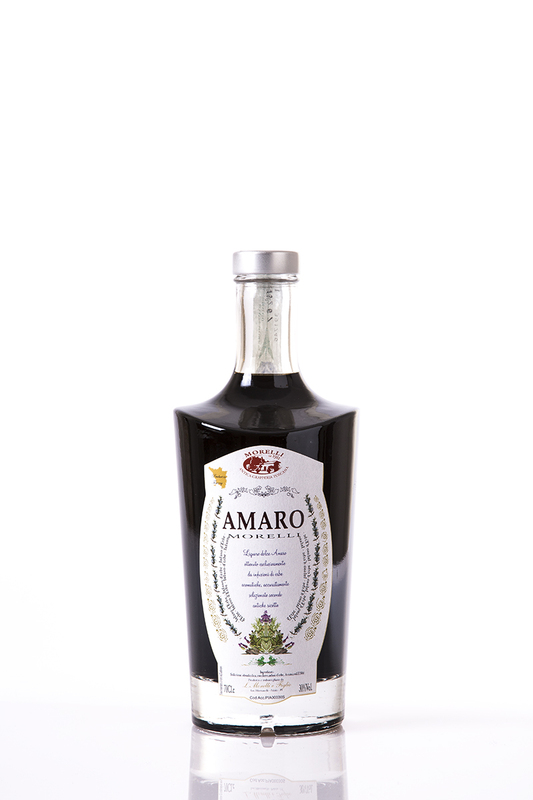 PRODUCT: Sweet liqueur,very similar to an amaro, but much more pleasant and with an intriging taste; typically Italian, it is a liqueur that has made the history of Italian liqueurs, characteristic also for its composition based on quinine, being produced by means of an infusion that is obtained by steeping the bark of the quinine tree, which contains within it healing properties for ilnesses of the respiratory system. TASTE: very pleasing in the mouth and to the nose, round and caramelly, bitter at the first impact on the mouth, but immediately round and sweet, very pleasing, with veiled aroma of bitter and orange. APPEARANCE: a very dark and opaque colour, with coffee reflections, coloured with E 150 d which is no more than a caramel of burnt sugar, thus confering on it a pleasing, sweet aroma. 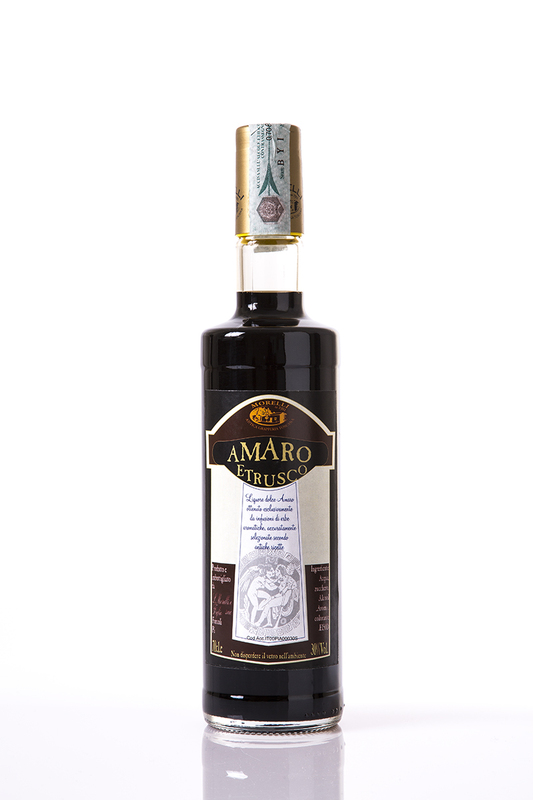 PRODUCT: Sweet liqueur,very similar to an amaro, but much more pleasant and with an intriging taste; typically Italian, it is a liqueur that has made the history of Italian liqueurs, characteristic also for its composition based on an extract obtained by steeping a root called Rhaeum Officinale and various aromatic herbs. TASTE: very pleasing in the mouth and to the nose, round and caramelly, bitter at the first impact on the mouth, but immediately round and sweet, very pleasing, with veiled spiced aroma. 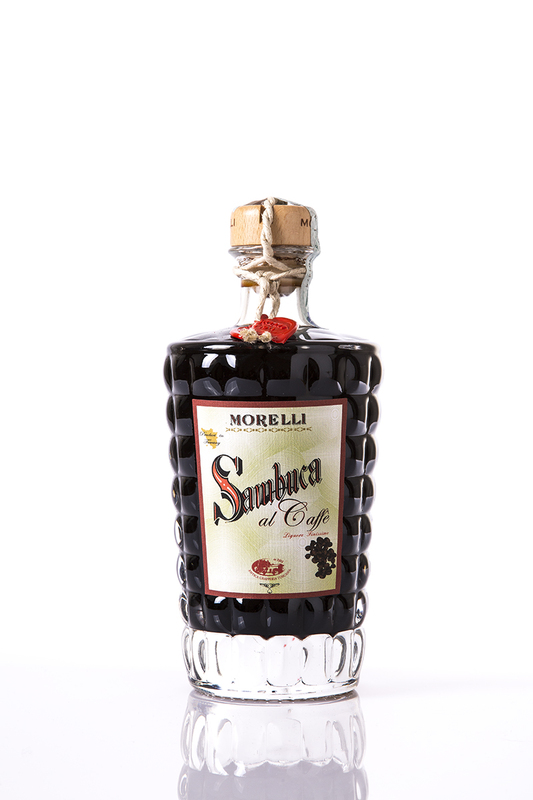 The method of preparation of this liqueur is by mixing water, sugar and natural aromas, derived from the processing of star anise, which late gives life to essential oils that will make up the natural aroma of the sambuca to which is added coffee aroma. APPEARANCE: coffee colour, very dark and not bright. 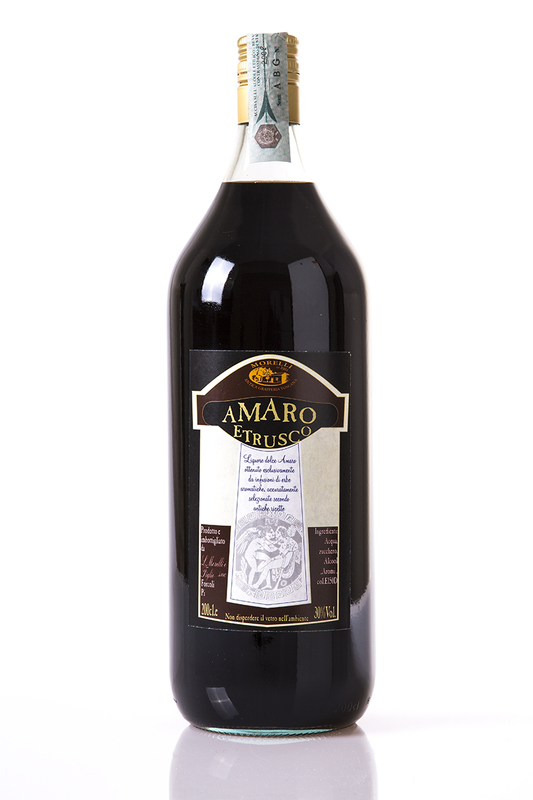 TASTE: very intense the perception of the taste of anise, with the unmistakable bouquet of coffee, very soft in the mouth with pronounced sugary consistency. PRODOTTI: sciroppo di puro zucchero aromatizzato all'estratto di menta ottimo per fare granite o guarnire coppe di gelato. 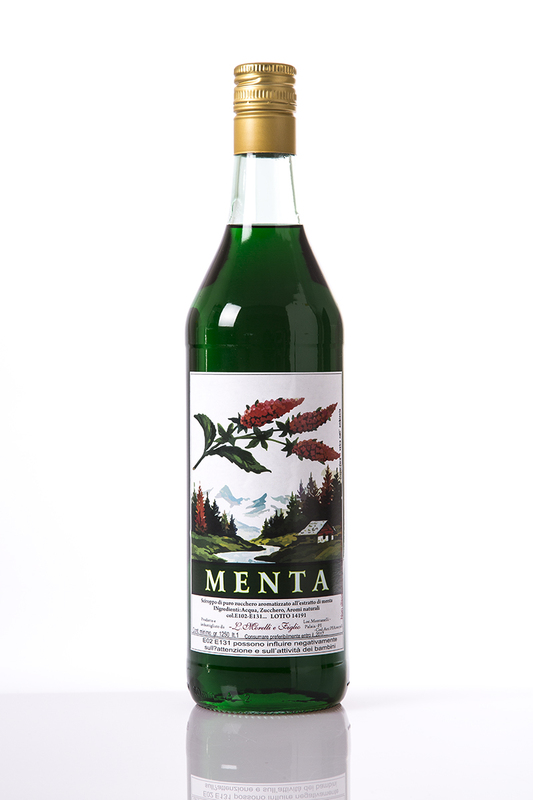 GUSTO: dolce, si percepisce il sapore della menta in armonia con lo zucchero. 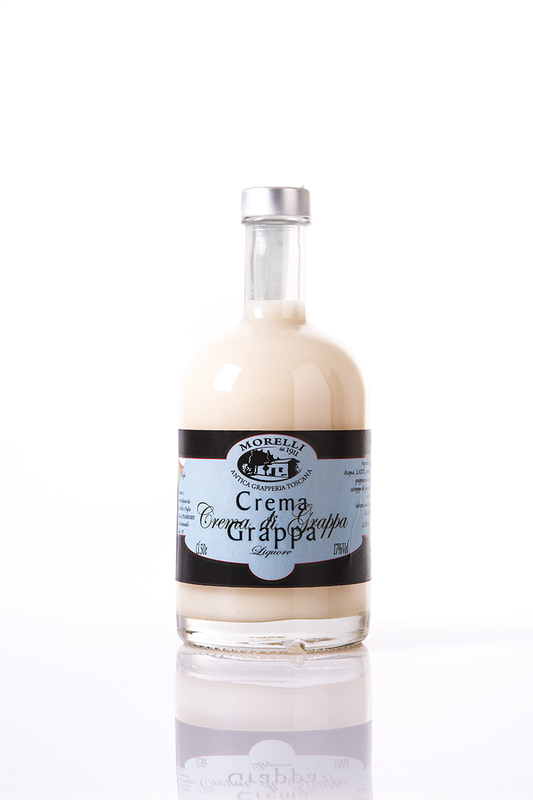 PRODUCTS: syrup derived from sugar aromatized with the taste of mint, excellent for making “granita” or garnishing tubs of ice-cream. 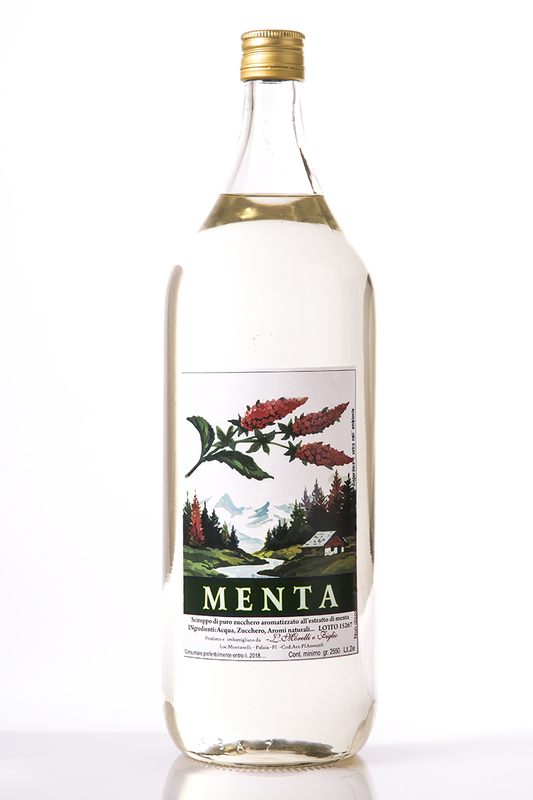 TASTE: sweet, the taste of mint in harmony with the sugar is perceived. 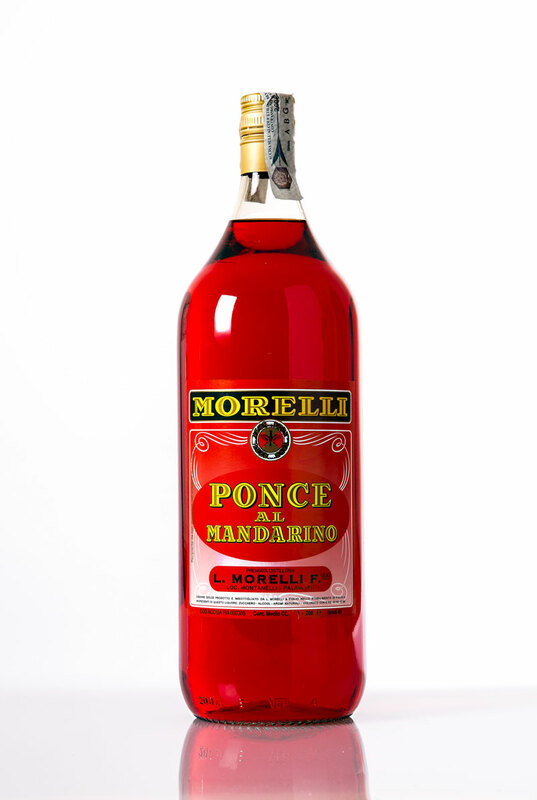 PRODOTTI: detto anche ponce rosso, è una bevanda alcolica aromatizzata al mandarino che si usa riscaldare col vapore della macchina del caffè e servito nel bicchierino di vetro con una fetta di limone. 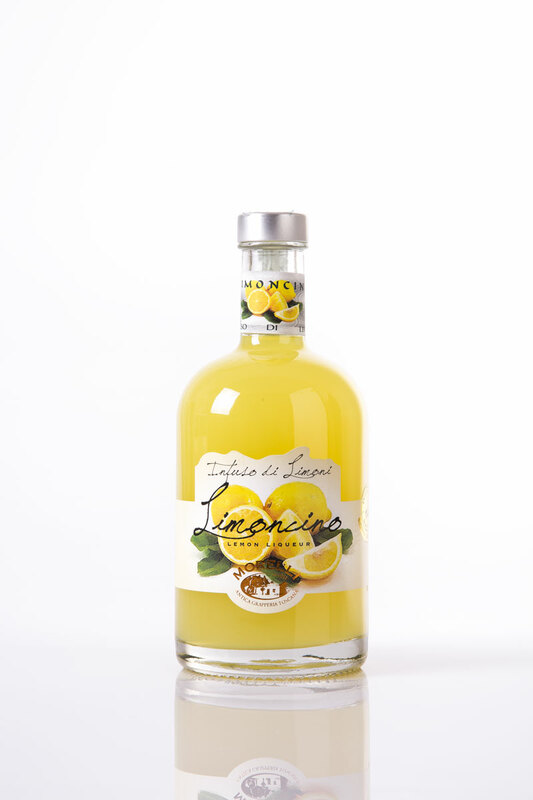 GUSTO: si percepisce il sapore del mandarino in armonia con la parte alcolica. 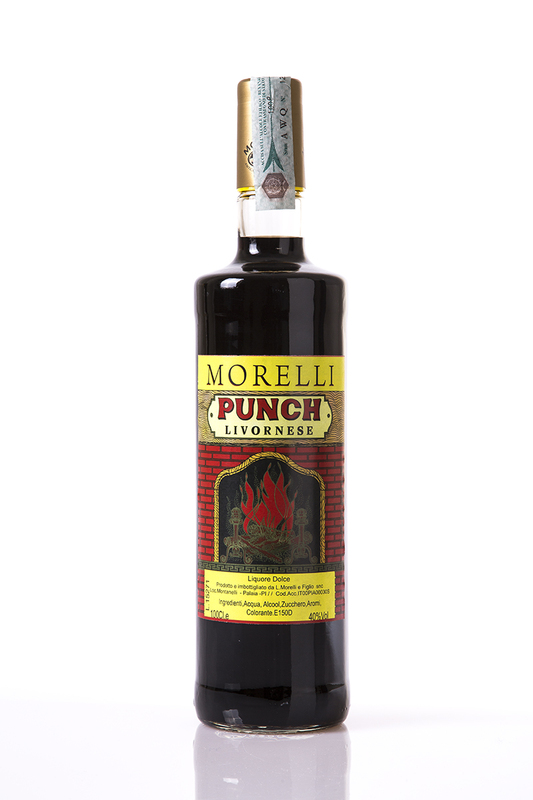 PRODUCTS: also called red punch, it is a mandarin aromatized alcoholic drink which is commonly heated with the steam of the coffee machine served in a small glass with a slice of lemon. 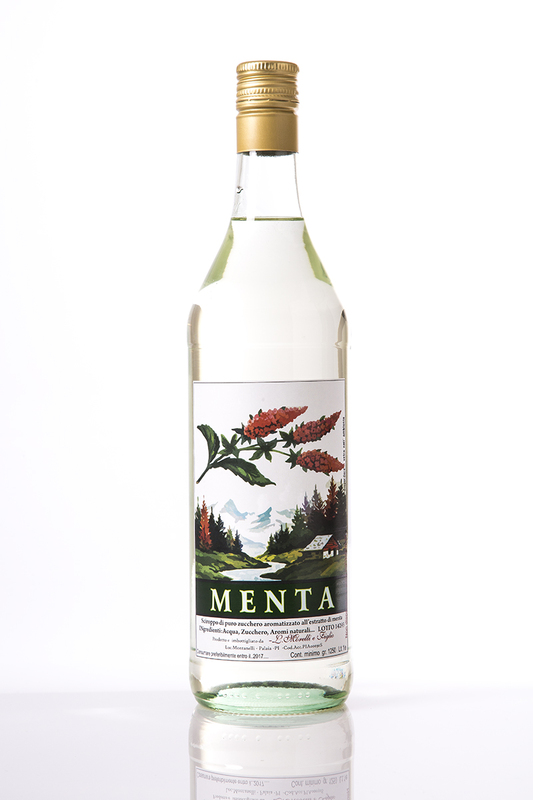 TASTE: the taste of mint in harmony with the sugar is perceived. 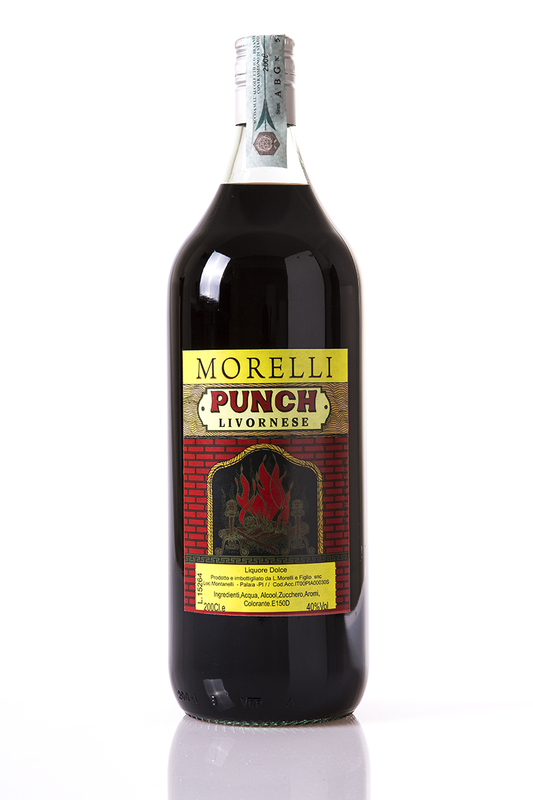 PRODOTTI: bevanda alcolica nata a Livorno tra il XVII e il XVIII secolo. 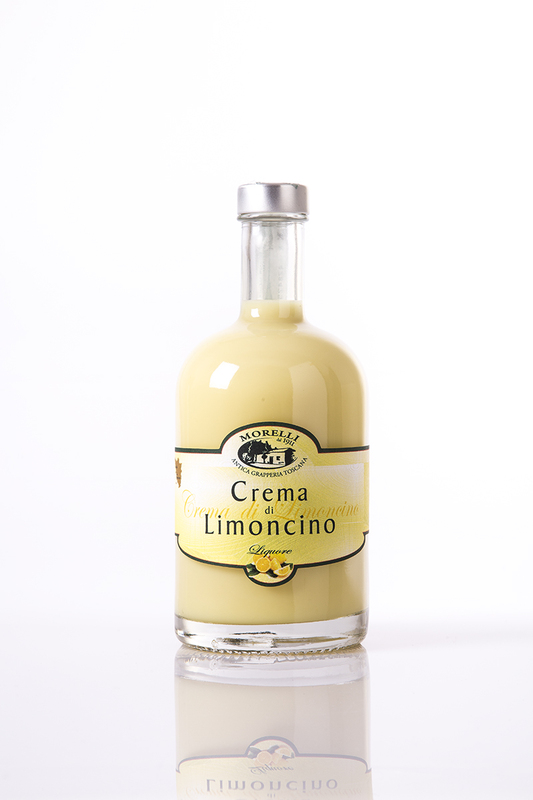 Si usa berlo caldo in un bicchierino di vetro, con zucchero, fetta di limone, il tutto portato ad ebollizione, poi si aggiunge caffè fino a colmare il bicchiere. 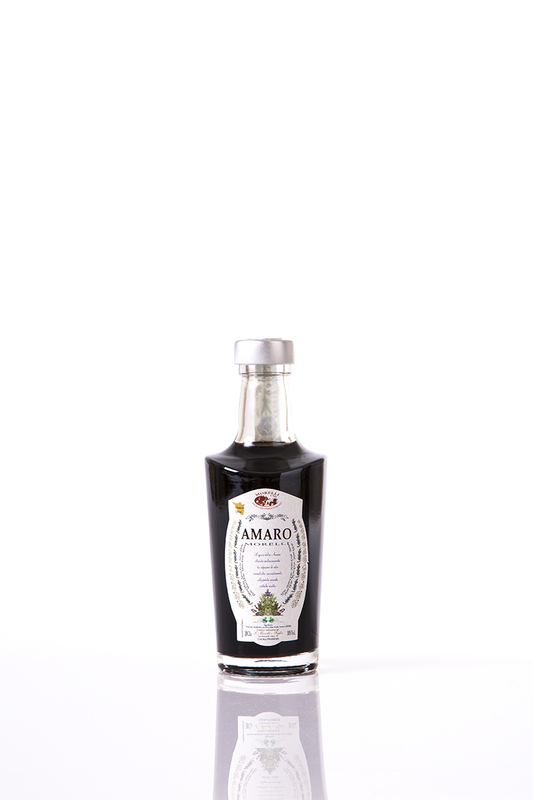 GUSTO: armonioso, vellutato, si percepisce la parte alcolica in perfetta armonia con il gusto del caffè. PRODUCTS: product for soaking cakes. 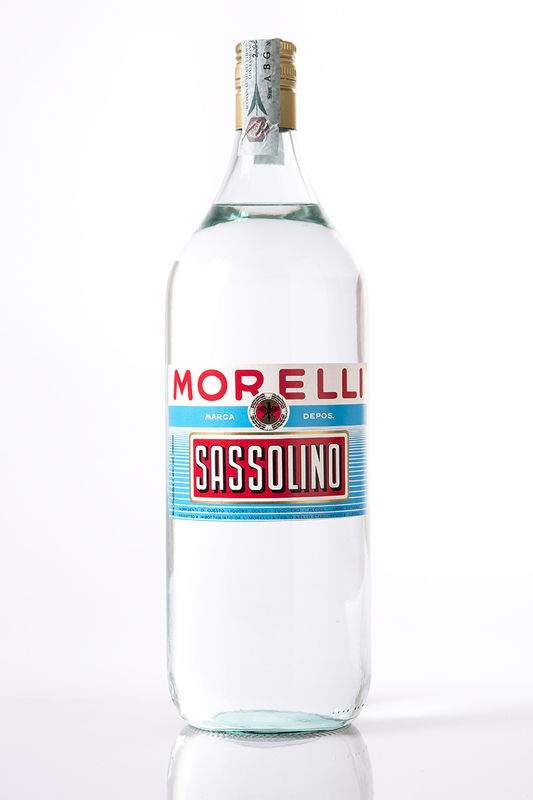 TASTE: spiced, flavour of mint perceptible. 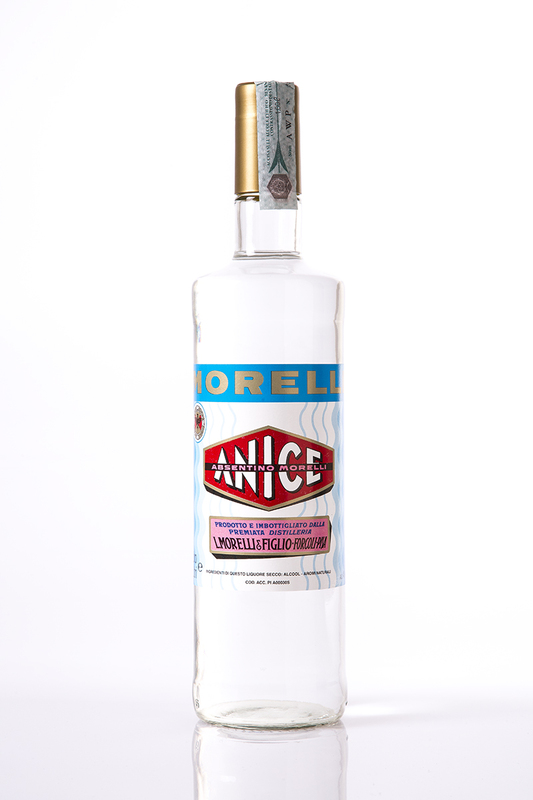 PRODOTTI: Prodotto a base di alcool, ottenuto mediante la miscelazione di acqua, zucchero e infuso di frutta e succo di frutta o fragranza. Il prodotto contiene al suo interno 60g di fragoline di bosco. GUSTO: dall'aroma inconfondibile, molto spiccati i profumi al naso e in bocca. 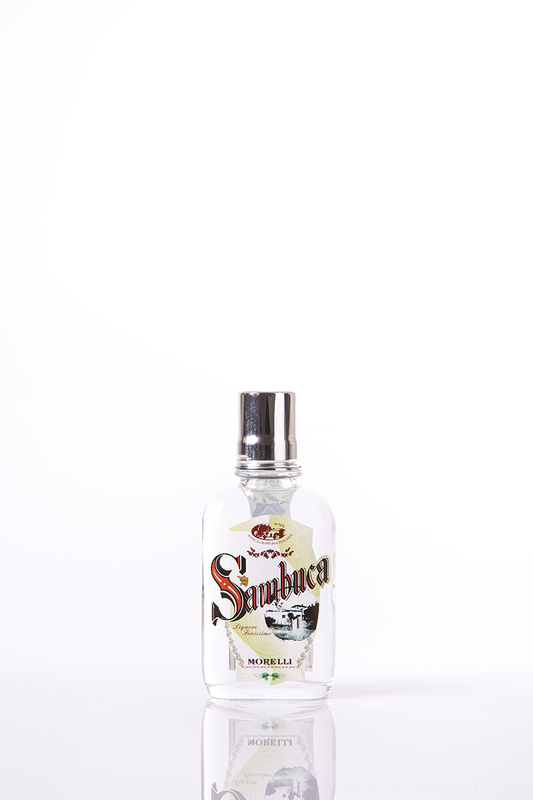 PRODUCTS: product derived from alcohol, obtained by mixing water, sugar and infusion of fruit and fruit juice or fragrance. The product contains within it 60 gm of wild strawberries. 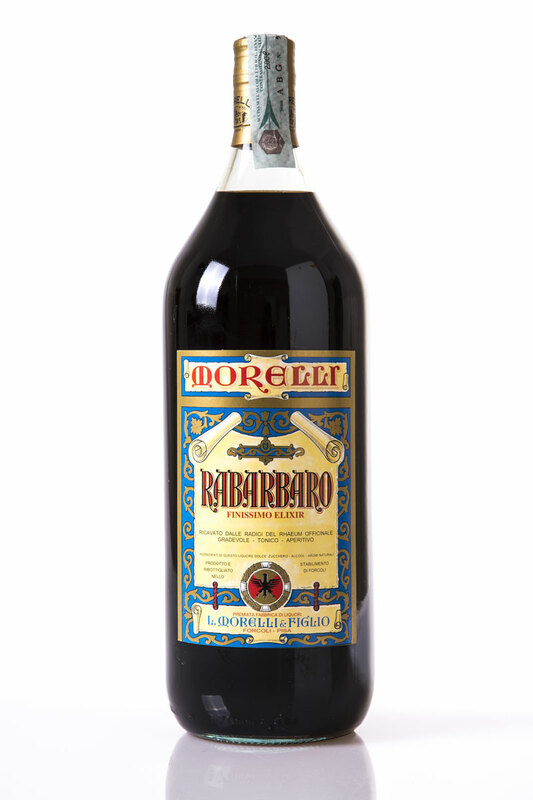 TASTE: with unmistakable aroma of liquorice, bouquet very marked to the nose and in the mouth. 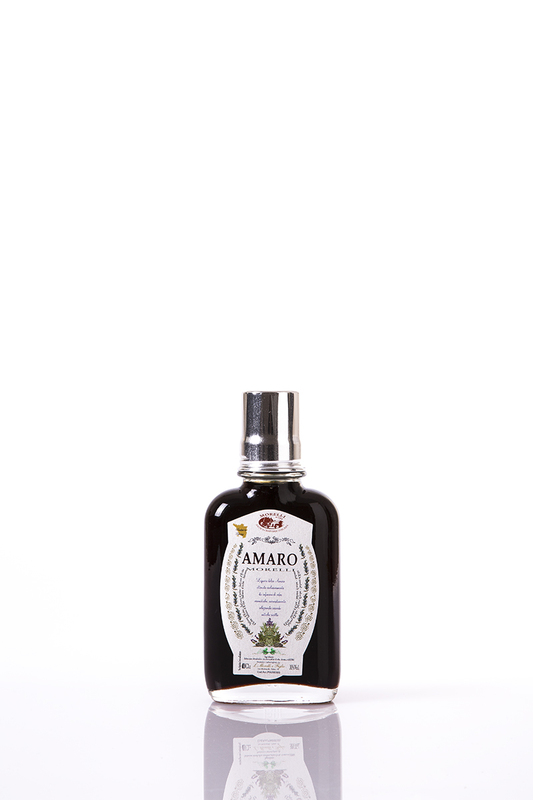 The product contains within it 60 gm of bilberries. 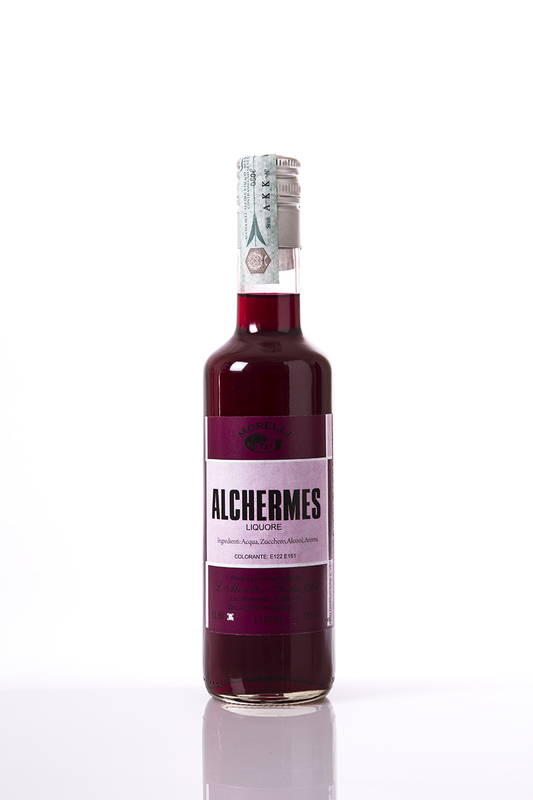 TASTE: with unmistakable aroma of bilberry, bouquet very marked to the nose and in the mouth. TASTE: with the unmistakable aroma of coffee, bouquet very marked to the nose and in the mouth. 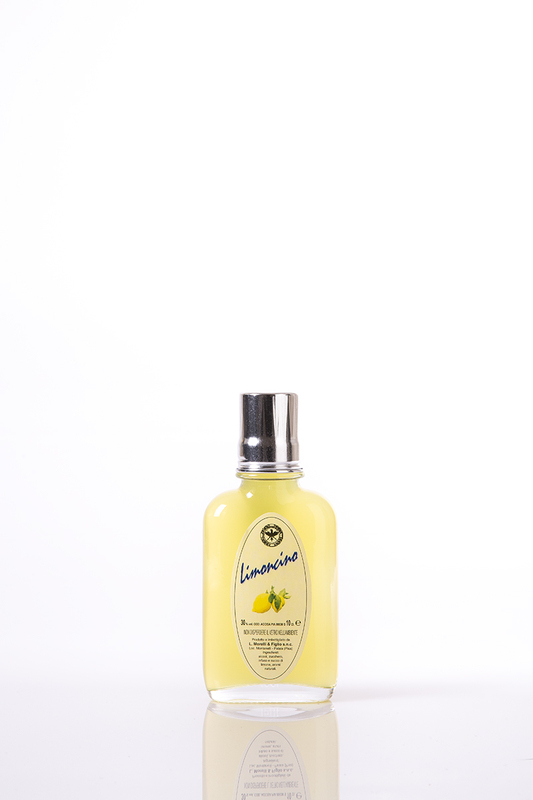 PRODUCTS: product derived from alcohol and red wine, skillfully blended and aromatized with infusions of fruit and fruit juice of the respective fragrance. Water and sugar are added later. TASTE: with an unmistakable aroma. Persistent the after taste conferred by the wine, you will have a sensation of fluidity and softness on the tongue and palate. 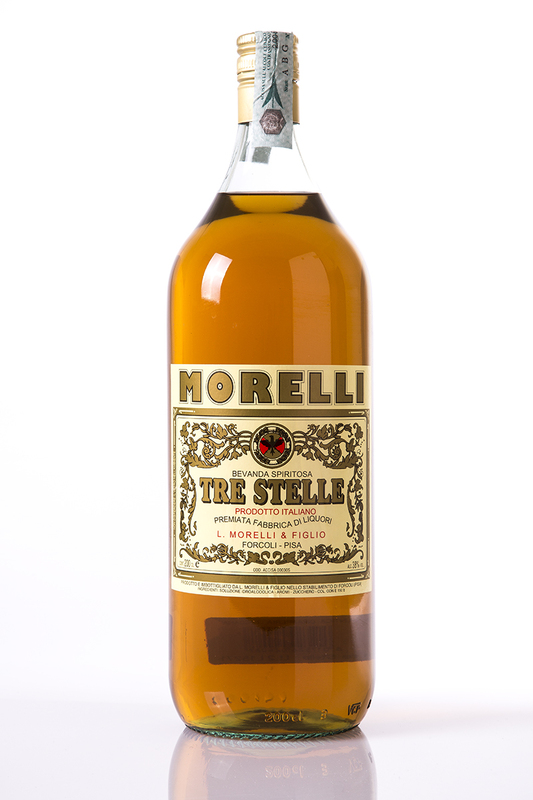 TASTE: with the unmistakable aroma of walnut, bouquet very marked to the nose and in the mouth. 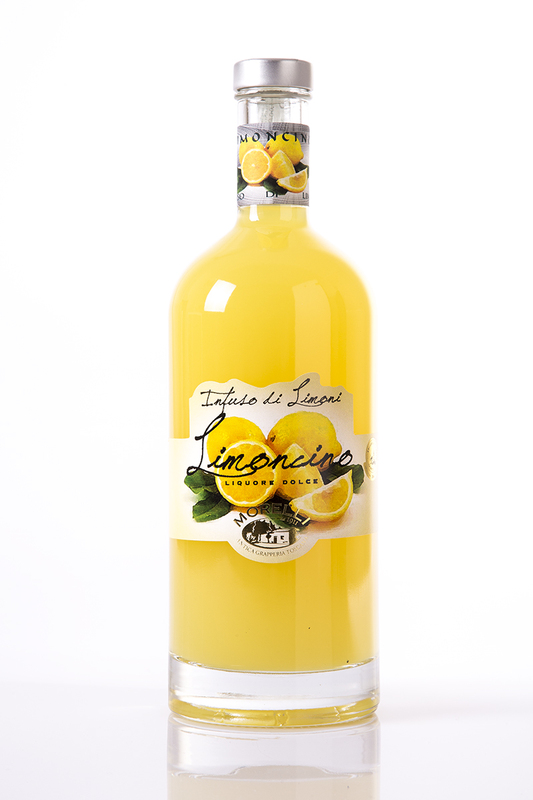 Later the infusion is mixed with water and sugar and natural aromas which stabilize colour and aroma. 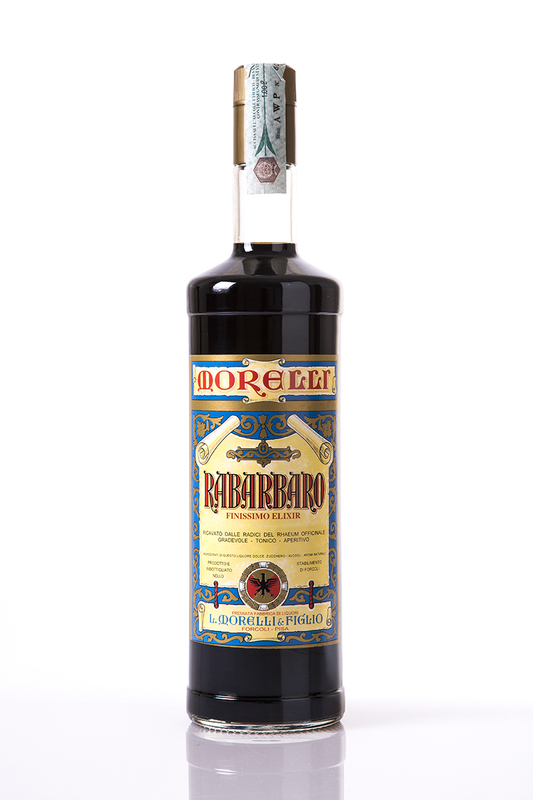 PRODUCTS: Liqueur obtained from the blending of water, with sugar and natural aromas, derived from the processing of natural aromatic herbs, which give it its flavour. 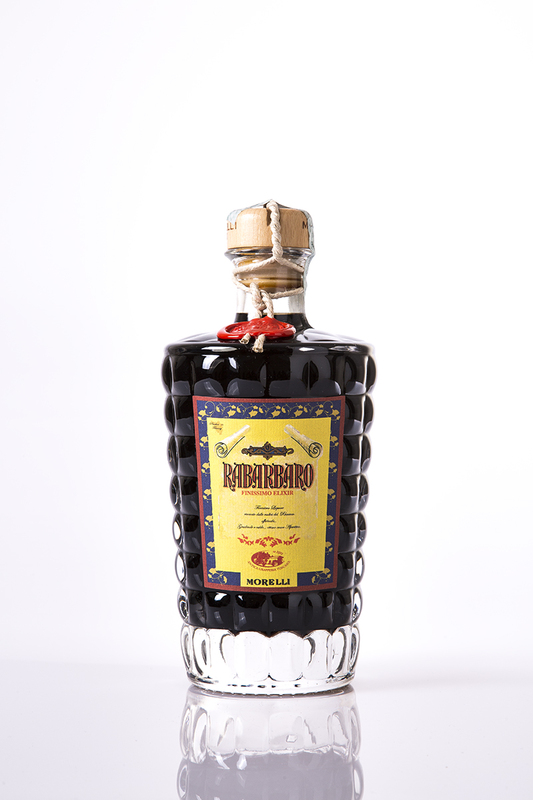 APPEARANCE: shiny dark colour, with liquorice tones. TASTE: the perception of the taste of liquorice and caramel is very intense, sweet but not too sweet, pleasantly bitter. 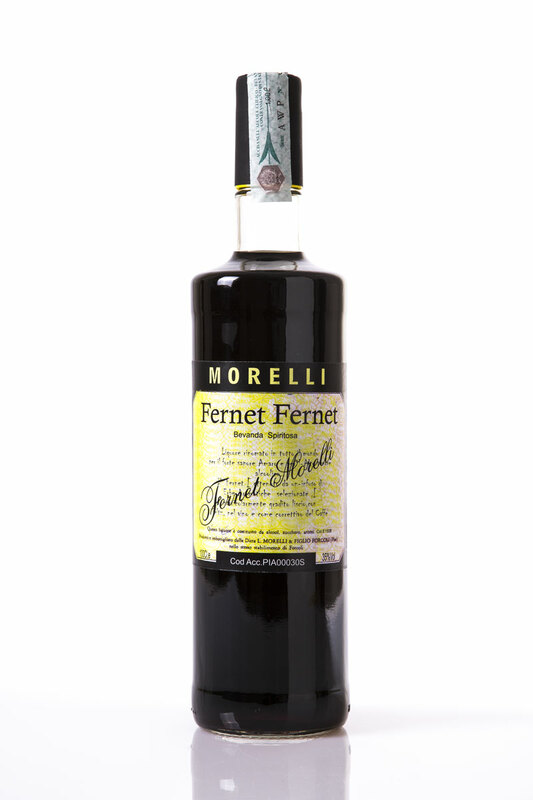 The fragrance of rhubarb and fernet very marked. METHOD OF PRODUCTION: The method of preparation of this liqueur is by mixing water, sugar and natural aromas, derived from the processing of star anise, which later gives life to essential oils that will make up the natural aroma of the sambuca. 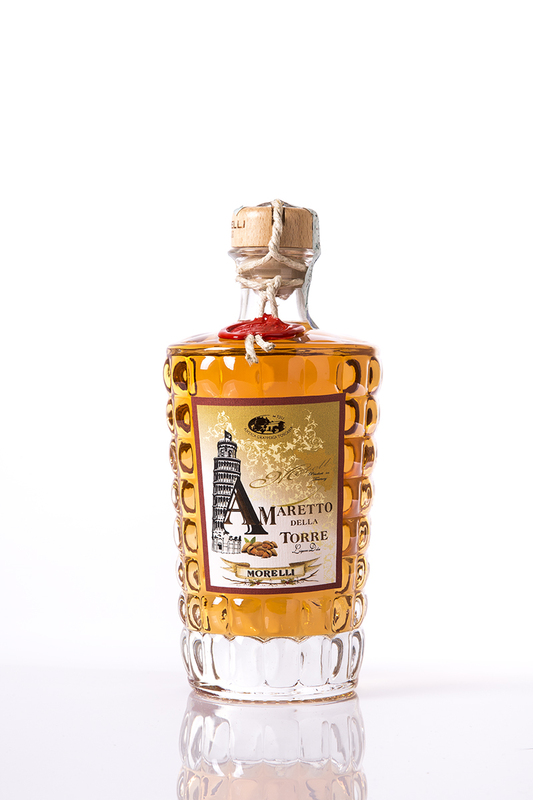 PRODOTTI: Liquore ottenuto mediante la miscelazione di infuso di arance, alcool, acqua, zucchero, infuso di amaro e di china. ASPETTO: arancione scuro, dai riflessi brillanti. 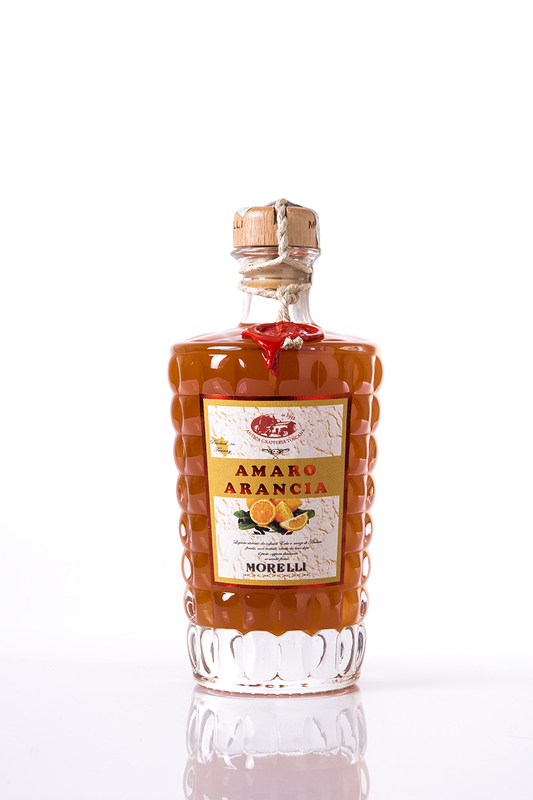 GUSTO: molto intensa la percezione del sapore dell'arancia, dolce ma non troppo, piacevolmente amaro. 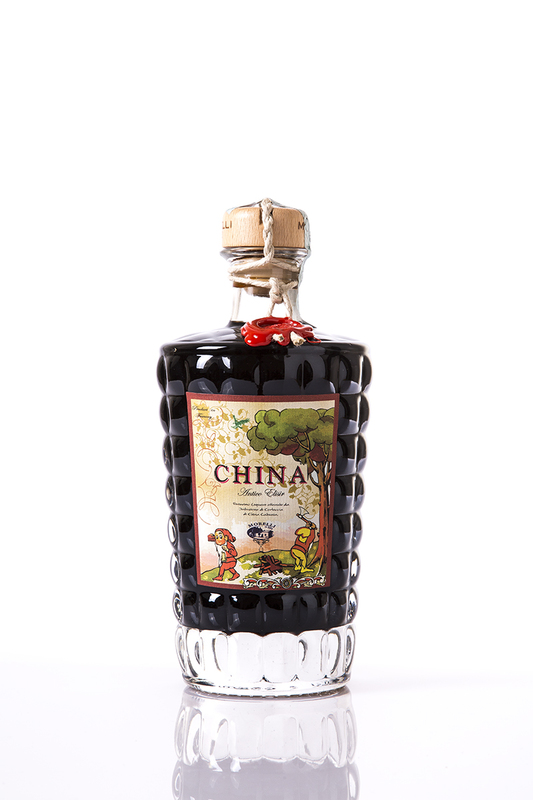 Di grande rilevanza la fragranza dell'amaro e della china. 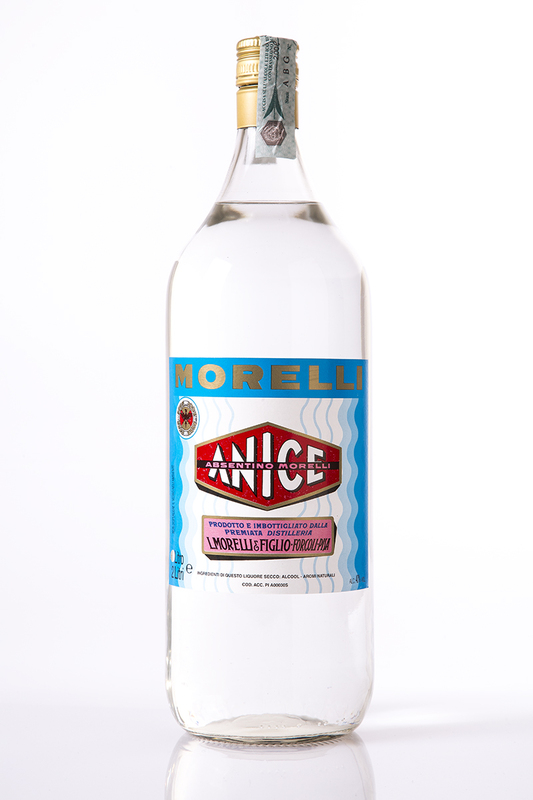 PRODOTTI: Liquore ottenuto mediante la miscelazione di acqua, con zucchero e aromi naturali. 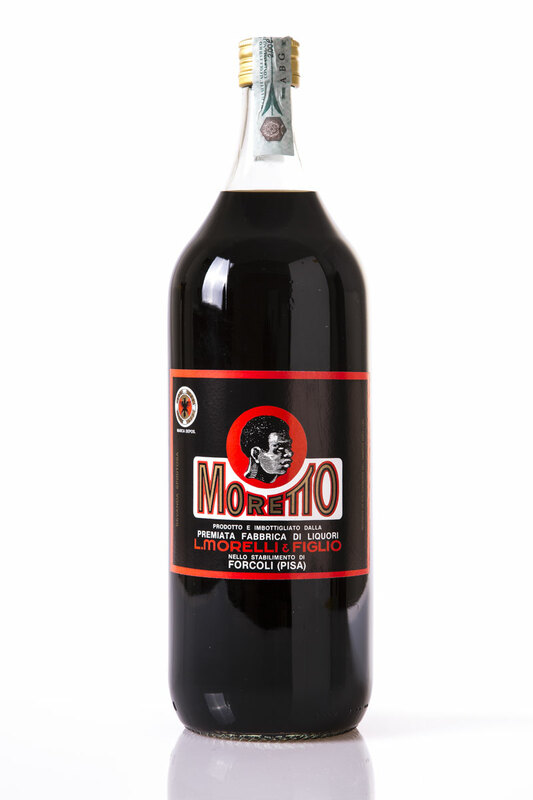 GUSTO: molto intensa la percezione del sapore del sapore dell'anice, dal profumo inconfondibile del caffè, molto morbida in bocca dalla consistenza zuccherina importante. APPEARANCE: a very dark and opaque colour, with coffee reflections, coloured with E 150 d which is no more than a caramel of burnt sugar, thus confering on it a pleasing, sweetish aroma. 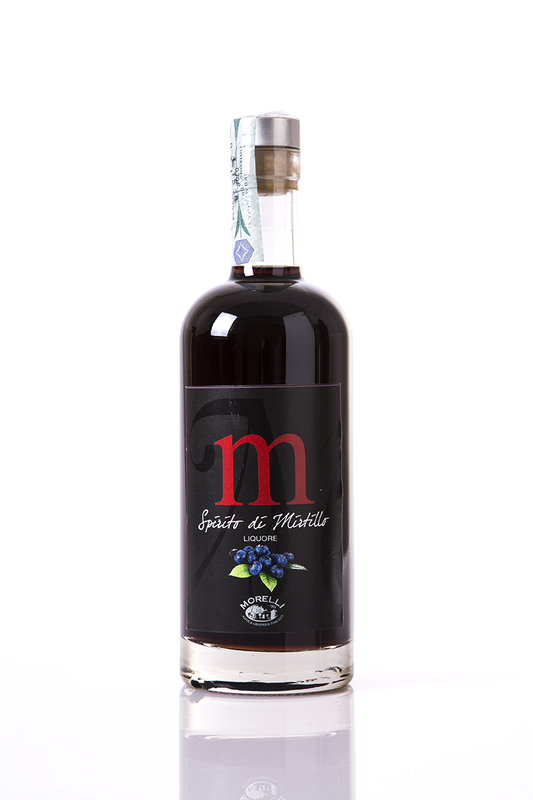 PRODUCTS: Liqueur obtained by blending water, caramelized sugar and natural aromas. APPEARANCE: shiny amber, with caramelized reflections. TASTE: the perception of the taste of caramel and sugar is very intense. Pleasing to the palate and the nose. 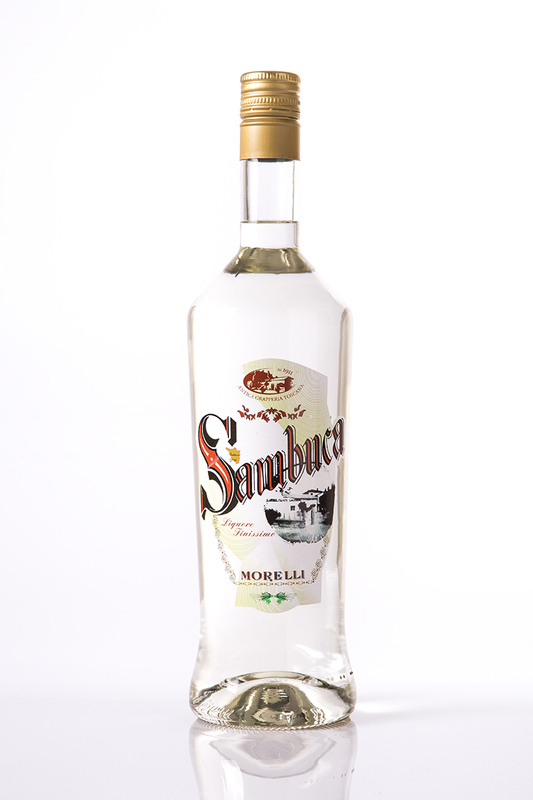 PRODUCTS: Liqueur obtained by blending water with wheat alcohol. TASTE: dry, strong bouquet, lingering.